1. Taylor, Nicholas M. I., Prokhorov, Nikolai S., Guerrero-Ferreira, Ricardo C., Shneider, Mikhail M., Browning, Christopher, Goldie, Kenneth N., Stahlberg, Henning, Leiman, Petr G. Structure of the T4 baseplate and its function in triggering sheath contraction. NATURE, 2016, v. 533, n. 7603, pp. 346-352. 2. Daelman, Matthijs R. J., Sorokin, Dimitry, Kruse, Olaf, van Loosdrecht, Mark C. M., Strous, Marc Haloalkaline Bioconversions for Methane Production from Microalgae Grown on Sunlight. TRENDS IN BIOTECHNOLOGY, 2016, v. 34, n. 6, pp. 450-457. 3. Thiaville, Jennifer J., Kellner, Stefanie M., Yuan, Yifeng, Hutinet, Geoffrey, Thiaville, Patrick C., Jumpathong, Watthanachai, Mohapatra, Susovan, Brochier-Armanet, Celine, Letarov, Andrey V., Hillebrand, Roman, Malik, Chanchal K., Rizzo, Carmelo J., Dedon, Peter C., de Crecy-Lagard, Valerie Novel genomic island modifies DNA with 7-deazaguanine derivatives. PROCEEDINGS OF THE NATIONAL ACADEMY OF SCIENCES OF THE UNITED STATES OF AMERICA, 2016, v. 113, n. 11, pp. E1452-E1459. 4. Danilova, Olga V., Suzina, Natalia E., Van De Kamp, Jodie, Svenning, Mette M., Bodrossy, Levente, Dedysh, Svetlana N. A new cell morphotype among methane oxidizers: a spiral-shaped obligately microaerophilic methanotroph from northern low-oxygen environments. ISME JOURNAL, 2016, v. 10, n. 11, pp. 2734-2743. 5. Sorokin, Dimitry Y., Kublanov, Ilya V., Gavrilov, Sergei N., Rojo, David, Roman, Pawel, Golyshin, Peter N., Slepak, Vladlen Z., Smedile, Francesco, Ferrer, Manuel, Messina, Enzo, La Cono, Violetta, Yakimov, Michail M. Elemental sulfur and acetate can support life of a novel strictly anaerobic haloarchaeon. ISME JOURNAL, 2016, v. 10, n. 1, pp. 240-252. 6. Kulakovskiy, Ivan V., Vorontsov, Ilya E., Yevshin, Ivan S., Soboleva, Anastasiia V., Kasianov, Artem S., Ashoor, Haitham, Ba-alawi, Wail, Bajic, Vladimir B., Medvedeva, Yulia A., Kolpakov, Fedor A., Makeev, Vsevolod J. HOCOMOCO: expansion and enhancement of the collection of transcription factor binding sites models. NUCLEIC ACIDS RESEARCH, 2016, v. 44, n. D1, pp. D116-D125. 7. Urusov, Alexandr E., Petrakova, Alina V., Zherdev, Anatoly V., Dzantiev, Boris B. Multistage in one touch design with a universal labelling conjugate for high-sensitive lateral flow immunoassays. BIOSENSORS & BIOELECTRONICS, 2016, v. 86, pp. 575-579. 8. Abros’kin, D. P., Fuentes, M., Garcia-Mina, J. M., Klyain, O. I., Senik, S. V., Volkov, D. S., Perminova, I. V., Kulikova, N. A. The effect of humic acids and their complexes with iron on the functional status of plants grown under iron deficiency. EURASIAN SOIL SCIENCE. 2016. т. 49. № 10. p. 1099-1108. DOI: 10.1134/S1064229316100021. 9. Alexandrov, A. I., Serpionov, G. V., Kushnirov, V. V., Ter-Avanesyan, M. D. Wild type huntingtin toxicity in yeast: Implications for the role of amyloid cross-seeding in polyQ diseases. PRION. 2016. v. 10. № 3. p. 221-227. DOI: 10.1080/19336896.2016.1176659. 10. Beloborodov, Stanislav S., Panferov, Vasily G., Safenkova, Irina V., Krylova, Svetlana M., Dzantiev, Boris B., Krylov, Sergey N. Unexpected Electrophoretic Behavior of Complexes between Rod-like Virions and Bivalent Antibodies. ANALYTICAL CHEMISTRY. 2016. v. 88. № 23. p. 11908-11912. DOI: 10.1021/acs.analchem.6b03779. 11. Beloglazova, N. V., Shmelin, P. S., Eremin, S. A. Sensitive immunochemical approaches for quantitative (FPIA) and qualitative (lateral flow tests) determination of gentamicin in milk. TALANTA. 2016. v. 149 . p. 217-224. DOI: 10.1016/j.talanta.2015.11.060. 12. Bezsudnova, Ekaterina Yu., Petrova, Tatiana E., Artemova, Natalia V., Boyko, Konstantin M., Shabalin, Ivan G., Rakitina, Tatiana V., Polyakov, Konstantin M., Popov, Vladimir O. NADP-Dependent Aldehyde Dehydrogenase from Archaeon Pyrobaculum sp 1860: Structural and Functional Features. ARCHAEA-AN INTERNATIONAL MICROBIOLOGICAL JOURNAL. 2016. v. . # ID 9127857 . DOI: 10.1155/2016/9127857. 13. Bezsudnova, Ekaterina Yu., Stekhanova, Tatiana N., Suplatov, Dmitry A., Mardanov, Andrey V., Ravin, Nikolai V., Popov, Vladimir O. Experimental and computational studies on the unusual substrate specificity of branched-chain amino acid aminotransferase from Thermoproteus uzoniensis. ARCHIVES OF BIOCHEMISTRY AND BIOPHYSICS. 2016. v. 607 . p. 27-36. DOI: 10.1016/j.abb.2016.08.009. 14. Bonartsev A.P., Zharkova I.I., Yakovlev S.G., Myshkina V.L., Makhina T.K., Zernov A.L., Kudryashova K.S., Feofanov A.V., Akulina E.A., Ivanova E.V., Zhuikov V.A., Volkov A.V., Andreeva N.V., Voinova V.V., Bonartseva G.A., Shaitan K.V., Kirpichnikov M.P. Adhesion and growth of bone marrow mesenchymal stem cells on 3D scaffolds from poly(3-hydroxybutyrate)-poly(ethylene glycol) copolymer. JOURNAL OF BIOMATERIALS AND TISSUE ENGINEERING. 2016. т. 6. № 1. p. 42 52. 15. Bonartsev, A. P., Zharkova, I. I., Yakovlev, S. G., Myshkina, V. L., Makhina, T. K., Zernov, A. L., Kudryashova, K. S., Feofanov, A. V., Akulina, E. A., Ivanova, E. V., Zhuikov, V. A., Andreeva, N. V., Voinova, V. V., Bessonov, I. V., Kopitsyna, M. V., Morozov, A. S., Bonartseva, G. A., Shaitan, K. V., Kirpichnikov, M. P. 3D-Scaffolds from Poly(3-hydroxybutyrate)-Poly(ethylene glycol) Copolymer for Tissue Engineering. JOURNAL OF BIOMATERIALS AND TISSUE ENGINEERING. 2016. v. 6. № 1. p. 42-52. DOI: 10.1166/jbt.2016.1414. 16. Bonartsev, A. P., Zharkova, I. I., Yakovlev, S. G., Myshkina, V. L., Makhina, T. K., Zernov, A. L., Kudryashova, K. S., Feofanov, A. V., Akulina, E. A., Ivanova, E. V., Zhuikov, V. A., Andreeva, N. V., Voinova, V. V., Bessonov, I. V., Kopitsyna, M. N., Morozov, A. S., Bonartseva, G. A., Shaitan, K. V., Kirpichnikov, M. P. 3D-Scaffolds from Poly(3-hydroxybutyrate)-Poly(ethylene glycol) Copolymer for Tissue Engineering (vol 6, pg 42, 2016). JOURNAL OF BIOMATERIALS AND TISSUE ENGINEERING. 2016. v. 6. № 5. p. 426-426. DOI: 10.1166/jbt.2016.1492. 17. Borzova, Vera A., Markossian, Kira A., Chebotareva, Natalia A., Kleymenov, Sergey Yu., Poliansky, Nikolay B., Muranov, Konstantin O., Stein-Margolina, Vita A., Shubin, Vladimir V., Markov, Denis I., Kurganov, Boris I. Kinetics of Thermal Denaturation and Aggregation of Bovine Serum Albumin. PLOS ONE. 2016. v. 11. № 4. # e0153495 . DOI: 10.1371/journal.pone.0153495. 18. Boyko, Konstantin M., Gorbacheva, Marina A., Korzhenevskiy, Dmitry A., Alekseeva, Maria G., Mavletova, Dilara A., Zakharevich, Natalia V., Elizarov, Sergey M., Rudakova, Natalia N., Danilenko, Valery N., Popov, Vladimir O. Structural characterization of the novel aminoglycoside phosphotransferase AphVIII from Streptomyces rimosus with enzymatic activity modulated by phosphorylation. BIOCHEMICAL AND BIOPHYSICAL RESEARCH COMMUNICATIONS. 2016. v. 477. № 4. p. 595-601. DOI: 10.1016/j.bbrc.2016.06.097. 19. Boyko, Konstantin M., Rakitina, Tatiana V., Korzhenevskiy, Dmitry A., Vlaskina, Anna V., Agapova, Yuliya K., Kamashev, Dmitry E., Kleymenov, Sergey Y., Popov, Vladimir O. Structural basis of the high thermal stability of the histonelike HU protein from the mollicute Spiroplasma melliferum KC3. SCIENTIFIC REPORTS. 2016. v. 6 . # 36366 . DOI: 10.1038/srep36366. 20. Boyko, Konstantin M., Stekhanova, Tatiana N., Nikolaeva, Alena Yu, Mardanov, Andrey V., Rakitin, Andrey L., Ravin, Nikolai V., Bezsudnova, Ekaterina Yu, Popov, Vladimir O. First structure of archaeal branched-chain amino acid aminotransferase from Thermoproteus uzoniensis specific for L-amino acids and R-amines. EXTREMOPHILES. 2016. v. 20. № 2. p. 215-225. DOI: 10.1007/s00792-016-0816-z. 21. Buglak, Andrey A., Telegina, Taisiya A., Kritsky, Mikhail S. A quantitative structure-property relationship (QSPR) study of singlet oxygen generation by pteridines. PHOTOCHEMICAL & PHOTOBIOLOGICAL SCIENCES. 2016. v. 15. № 6. p. 801-811. DOI: 10.1039/c6pp00084c. 22. Chebotareva N.A., Roman S.G., Kurganov B.I. Dissociative mechanism for irreversible thermal denaturation of oligomeric proteins. BIOPHYSICAL REVIEWS. 2016. . № 4. p. 397-407. 23. Chen, Jiahong, Shanin, Ilya A., Lv, Shuwei, Wang, Qiang, Mao, Chuanbin, Xu, Zhenlin, Sun, Yuanming, Wu, Qing, Eremin, Sergei A., Lei, Hongtao. Heterologous strategy enhancing the sensitivity of the fluorescence polarization immunoassay of clinafloxacin in goat milk. JOURNAL OF THE SCIENCE OF FOOD AND AGRICULTURE. 2016. v. 96. № 4. p. 1341-1346. DOI: 10.1002/jsfa.7228. 24. Chuprov-Netochin, Roman, Neskorodov, Yaroslav, Marusich, Elena, Mishutkina, Yana, Volynchuk, Polina, Leonov, Sergey, Skryabin, Konstantin, Ivashenko, Andrey, Palme, Klaus, Touraev, Alisher. Novel small molecule modulators of plant growth and development identified by high-content screening with plant pollen. BMC PLANT BIOLOGY. 2016. v. 16 . # 192-. DOI: 10.1186/s12870-016-0875-4. 25. Cooper, Arthur J. L., Shurubor, Yevgeniya I., Dorai, Thambi, Pinto, John T., Isakova, Elena P., Deryabina, Yulia I., Denton, Travis T., Krasnikov, Boris F. omega-Amidase: an underappreciated, but important enzyme in L-glutamine and L-asparagine metabolism, relevance to sulfur and nitrogen metabolism, tumor biology and hyperammonemic diseases. AMINO ACIDS. 2016. v. 48. № 1. p. 1-20. DOI: 10.1007/s00726-015-2061-7. 26. Danilevich, Vasily N., Machulin, Andrey V., Lipkin, Alexey V., Kulakovskaya, Tatyana V., Smith, Steven S., Mulyukin, Andrey L. New insight into formation of DNA-containing microparticles during PCR: the scaffolding role of magnesium pyrophosphate crystals. JOURNAL OF BIOMOLECULAR STRUCTURE & DYNAMICS. 2016. v. 34. № 3. p. 625-639. DOI: 10.1080/07391102.2015.1040842. 27. Dedysh, Svetlana N., Haupt, Evan S., Dunfield, Peter F. Emended description of the family Beijerinckiaceae and transfer of the genera Chelatococcus and Camelimonas to the family Chelatococcaceae fam. nov. INTERNATIONAL JOURNAL OF SYSTEMATIC AND EVOLUTIONARY MICROBIOLOGY. 2016. v. 66. # 8. p. 3177-3182. DOI: 10.1099/ijsem.0.001167. 28. Dmitrenko, U. D., Porotikova, E. V., Gorislavets, S. M., Risovannaya, V. I., Volkov, Y. A., Stranishevskaya, E. P., Kamionskaya, A. M., Vinogradova, S. V. First Report of Grapevine rupestris stem pitting-associated virus in Russia. PLANT DISEASE. 2016. v. 100. № 12. p. 2542-2542. DOI: 10.1094/PDIS-06-16-0805-PDN. 29. Dotsenko, Anna S., Gusakov, Alexander V., Rozhkova, Aleksandra M., Sinitsyna, Olga A., Nemashkalov, Vitaly A., Sinitsyn, Arkady P. Effect of N-linked glycosylation on the activity and other properties of recombinant endoglucanase IIa (Cel5A) from Penicillium verruculosum. PROTEIN ENGINEERING DESIGN & SELECTION. 2016. v. 29. № 11. p. 495-501. DOI: 10.1093/protein/gzw030. 30. Dotsenko, Anna S., Gusakov, Alexander V., Volkov, Pavel V., Rozhkova, Aleksandra M., Sinitsyn, Arkady P. N-Linked Glycosylation of Recombinant Cellobiohydrolase I (Cel7A) From Penicillium verruculosum and Its Effect on the Enzyme Activity. BIOTECHNOLOGY AND BIOENGINEERING. 2016. v. 113. № 2. p. 283-291. DOI: 10.1002/bit.25812. 31. Dziuba, Marina, Koziaeva, Veronika, Grouzdev, Denis, Burganskaya, Ekaterina, Baslerov, Roman, Kolganova, Tatjana, Chernyadyev, Alexander, Osipov, Georgy, Andrianova, Ekaterina, Gorlenko, Vladimir, Kuznetsov, Boris. Magnetospirillum caucaseum sp nov., Magnetospirillum marisnigri sp nov and Magnetospirillum moscoviense sp nov., freshwater magnetotactic bacteria isolated from three distinct geographical locations in European Russia. INTERNATIONAL JOURNAL OF SYSTEMATIC AND EVOLUTIONARY MICROBIOLOGY. 2016. v. 66. # 5. p. 2069-2077. DOI: 10.1099/ijsem.0.000994. 32. Ehrlich, Hermann, Maldonado, Manuel, Parker, Andrew R., Kulchin, Yuri N., Schilling, Joerg, Koehler, Benjamin, Skrzypczak, Ulrich, Simon, Paul, Reiswig, Henry M., Tsurkan, Mikhail V., Brunner, Eike, Voznesenskiy, Sergey S., Bezverbny, Alexander V., Golik, Sergey S., Nagorny, Ivan G., Vyalikh, Denis V., Makarova, Anna A., Molodtsov, Serguei L., Kummer, Kurt, Mertig, Michael, Erler, Christiane, Kurek, Denis V., Bazhenov, Vasilii V., Natalio, Filipe, Kovalev, Alexander E., Gorb, Stanislav N., Stelling, Allison L., Heitmann, Johannes, Born, Rene, Meyer, Dirk C., Tabachnick, Konstantin R. Supercontinuum Generation in Naturally Occurring Glass Sponges Spicules. ADVANCED OPTICAL MATERIALS. 2016. v. 4. № 10. p. 1608-1613. DOI: 10.1002/adom.201600454. 33. Epova, Ekaterina Yu, Balovneva, Maria V., Isakova, Elena P., Kudykina, Yuliya K., Zylkova, Marina V., Deryabina, Yulia I., Shevelev, Alexei B. Expression system for Yarrowia lipolytica based on a promoter of the mitochondrial potential-dependent porin VDAC gene. BIOTECHNOLOGY AND BIOPROCESS ENGINEERING. 2016. v. 21. № 3. p. 408-413. DOI: 10.1007/s12257-016-0037-4. 34. Eronina, Tatiana B., Mikhaylova, Valeriya V., Chebotareva, Natalia A., Kurganov, Boris I. Kinetic regime of thermal aggregation of holo- and apoglycogen phosphorylases b. INTERNATIONAL JOURNAL OF BIOLOGICAL MACROMOLECULES. 2016. v. 92 . p. 1252-1257. DOI: 10.1016/j.ijbiomac.2016.08.038. 35. Eronina, Tatiana B., Mikhaylova, Valeriya V., Chebotareva, Natalia A., Makeeva, Valentina F., Kurganov, Boris I. Checking for reversibility of aggregation of UV-irradiated glycogen phosphorylase b under crowding conditions. INTERNATIONAL JOURNAL OF BIOLOGICAL MACROMOLECULES. 2016. v. 86 . p. 829-839. DOI: 10.1016/j.ijbiomac.2016.02.010. 36. 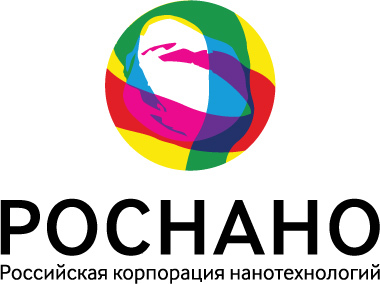 Filyushin M.A., Beletsky A.V., Mazur A.M. Kochieva E.Z. The complete plastid genome sequence of garlic Allium sativum L. MITOCHONDRIAL DNA PART B: RESOURCES. 2016. . № 11. p. 831-832. 37. Fisunov, G. Y., Evsyutina, D. V., Semashko, T. A., Arzamasov, A. A., Manuvera, V. A., Letarov, A. V., Govorun, V. M. Binding site of MraZ transcription factor in Mollicutes. BIOCHIMIE. 2016. v. 125 . p. 59-65. DOI: 10.1016/j.blochi.2016.02.016. 38. Fomchenko, Natalya V., Kondrat’eva, Tamara F., Muravyov, Maxim I. A new concept of the biohydrometallurgical technology for gold recovery from refractory sulfide concentrates. HYDROMETALLURGY. 2016. v. 164 . p. 78-82. DOI: 10.1016/j.hydromet.2016.05.011. 39. Frank, Yulia A., Kadnikov, Vitaly V., Gavrilov, Sergey N., Banks, David, Gerasimchuk, Anna L., Podosokorskaya, Olga A., Merkel, Alexander Y., Chernyh, Nikolai A., Mardanov, Andrey V., Ravin, Nikolai V., Karnachuk, Olga V., Bonch-Osmolovskaya, Elizaveta A. Stable and Variable Parts of Microbial Community in Siberian Deep Subsurface Thermal Aquifer System Revealed in a Long-Term Monitoring Study. FRONTIERS IN MICROBIOLOGY. 2016. v. 7 . # 2101 . DOI: 10.3389/fmicb.2016.02101. 40. Frank, Yulia A., Kadnikov, Vitaly V., Lukina, Anastasia P., Banks, David, Beletsky, Alexey V., Mardanov, Andrey V., Sen’kina, Elena I., Avakyan, Marat R., Karnachuk, Olga V., Ravin, Nikolai V. Characterization and Genome Analysis of the First Facultatively Alkaliphilic Thermodesulfovibrio Isolated from the Deep Terrestrial Subsurface. FRONTIERS IN MICROBIOLOGY. 2016. v. 7 . # 2000 . DOI: 10.3389/fmicb.2016.02000. 41. Gaisin, Vasil A., Grouzdev, Denis S., Namsaraev, Zorigto B., Sukhacheva, Marina V., Gorlenko, Vladimir M., Kuznetsov, Boris B. Biogeography of thermophilic phototrophic bacteria belonging to Roseiflexus genus. FEMS MICROBIOLOGY ECOLOGY. 2016. v. 92. № 3. # fiw012-. DOI: 10.1093/femsec/fiw012. 42. Gaur, Mulayam Singh, Yadava, Reetu, Berlina, Anna N., Zherdev, Anatoly V., Dzantiev, Boris B. Chemiluminescence catalysed by gold nanoparticles for the analysis of arsenic (III) in real water. JOURNAL OF EXPERIMENTAL NANOSCIENCE. 2016. v. 11. № 18. p. 1372-1383. DOI: 10.1080/17458080.2016.1227096. 43. Gavrilov, Sergey N., Stracke, Christina, Jensen, Kenneth, Menzel, Peter, Kallnik, Verena, Slesarev, Alexei, Sokolova, Tatyana, Zayulina, Kseniya, Braesen, Christopher, Bonch-Osmolovskaya, Elizaveta A., Peng, Xu, Kublanov, Ilya V., Siebers, Bettina. Isolation and Characterization of the First Xylanolytic Hyperthermophilic Euryarchaeon Thermococcus sp Strain 2319×1 and Its Unusual Multidomain Glycosidase. FRONTIERS IN MICROBIOLOGY. 2016. v. 7 . # 552 . DOI: 10.3389/fmicb.2016.00552. 44. Ghahramani, Maryam, Yousefi, Reza, Khoshaman, Kazem, Moghadam, Sogand Sasan, Kurganov, Boris I. Evaluation of structure, chaperone-like activity and protective ability of peroxynitrite modified human alpha-Crystallin subunits against copper-mediated ascorbic acid oxidation. INTERNATIONAL JOURNAL OF BIOLOGICAL MACROMOLECULES. 2016. v. 87 . p. 208-221. DOI: 10.1016/j.ijbiomac.2016.02.040. 45. Golomidova, Alla K., Kulikov, Eugene E., Prokhorov, Nikolai S., Guerrero-Ferreira, Ricardo C., Knirel, Yuriy A., Kostryukova, Elena S., Tarasyan, Karina K., Letarov, Andrey V. Branched Lateral Tail Fiber Organization in T5-Like Bacteriophages DT57C and DT571/2 is Revealed by Genetic and Functional Analysis. VIRUSES-BASEL. 2016. v. 8. № 1. # 26 . DOI: 10.3390/v8010026. 46. Golyshina, Olga V., Kublanov, Ilya V., Hai Tran, Korzhenkov, Alexei A., Luensdorf, Heinrich, Nechitaylo, Taras Y., Gavrilov, Sergey N., Toshchakov, Stepan V., Golyshin, Peter N. Biology of archaea from a novel family Cuniculiplasmataceae (Thermoplasmata) ubiquitous in hyperacidic environments. SCIENTIFIC REPORTS. 2016. v. 6 . # 39034 . DOI: 10.1038/srep39034. 47. Golyshina, Olga V., Luensdorf, Heinrich, Kublanov, Ilya V., Goldenstein, Nadine I., Hinrichs, Kai-Uwe, Golyshin, Peter N. The novel extremely acidophilic, cell-wall-deficient archaeon Cuniculiplasma divulgatum gen. nov., sp nov represents a new family, Cuniculiplasmataceae fam. nov., of the order Thermoplasmatales. INTERNATIONAL JOURNAL OF SYSTEMATIC AND EVOLUTIONARY MICROBIOLOGY. 2016. v. 66. № 1. p. 332-340. DOI: 10.1099/ijsem.0.000725. 48. Gonzalez-Arribas, Elena, Pankratov, Dmitry, Gounel, Sebastien, Mano, Nicolas, Blum, Zoltan, Shleev, Sergey. Transparent and Capacitive Bioanode Based on Specifically Engineered Glucose Oxidase. ELECTROANALYSIS. 2016. v. 28. № 6. p. 1290-1297. DOI: 10.1002/elan.201600096. 49. Gordienko, M. G., Karetkin, B. A., Baurin, D. V., Loiko, N. G., Panfilov, V. I. A MODEL OF INACTIVATION OF LACTOBACILLUS PLANTARUM INA LIQUID WITH AND WITHOUT VEGETABLE SOURCE OF PREBIOTIC. SGEM2016 CONFERENCE PROCEEDINGS. 2016. v. 3. Book 6. p. 161-168. DOI: 10.5593/SGEM2016/HB63/S08.021. 50. Grienke, Ulrike, Richter, Martina, Walther, Elisabeth, Hoffmann, Anja, Kirchmair, Johannes, Makarov, Vadim, Nietzsche, Sandor, Schmidtke, Michaela, Rollinger, Judith M. Discovery of prenylated flavonoids with dual activity against influenza virus and Streptococcus pneumoniae. SCIENTIFIC REPORTS. 2016. v. 6 . # 27156 . DOI: 10.1038/srep27156. 51. Gruzdev E.V, Mardanov AV, Beletsky AV, Kochieva EZ, Ravin NV, Skryabin KG. . The complete chloroplast genome of parasitic flowering plant Monotropa hypopitys: extensive gene losses and size reduction. MITOCHONDRIAL DNA PART B: RESOURCES. 2016. . № . p. 212-213. 52. Hendrickson O.D., Chertovich J.O., Petrakova A.V., Zherdev A.V., Dzantiev B.B. Immunoenzyme assay of zearalenone using magnetic nanoparticles and chemiluminescent detection. INTERNATIONAL JOURNAL OF APPLIED CHEMISTRY. 2016. . № 4. p. 613-627. 53. Hendrickson, Olga D., Klochkov, Sergey G., Novikova, Oksana V., Bravova, Irina M., Shevtsova, Elena F., Safenkova, Irina V., Zherdev, Anatoly V., Bachurin, Sergey O., Dzantiev, Boris B. Toxicity of nanosilver in intragastric studies: Biodistribution and metabolic effects. TOXICOLOGY LETTERS. 2016. v. 241 . p. 184-192. DOI: 10.1016/j.toxlet.2015.11.018. 54. Hendrickson, Olga D., Pridvorova, Svetlana M., Zherdev, Anatoly V., Klochkov, Sergey G., Novikova, Oksana V., Shevtsova, Elena F., Bachurin, Sergey O., Dzantiev, Boris B. Size-Dependent Differences in Biodistribution of Titanium Dioxide Nanoparticles After Sub-Acute Intragastric Administrations to Rats. CURRENT NANOSCIENCE. 2016. v. 12. № 2. p. 228-236. DOI: 10.2174/1573413711666151008013943. 55. Hendrickson, Olga D., Smirnova, Natalya I., Zherdev, Anatoly V., Sveshnikov, Peter G., Dzantiev, Boris B. Competitive photometric enzyme immunoassay for fullerene C-60 and its derivatives using a fullerene conjugated to horseradish peroxidase. MICROCHIMICA ACTA. 2016. v. 183. № 1. p. 211-217. DOI: 10.1007/s00604-015-1621-6. 56. Ianutsevich, Elena A., Danilova, Olga A., Groza, Natalia V., Kotlova, Ekaterina R., Tereshina, Vera M. Heat shock response of thermophilic fungi: membrane lipids and soluble carbohydrates under elevated temperatures. MICROBIOLOGY-SGM. 2016. v. 162. # 6. p. 989-999. DOI: 10.1099/mic.0.000279. 57. Ignatov, A. N., Khodykina, M. V., Vinogradova, S. V., Polityko, V. A., Kornev, K. P., Mazurin, E. S. First Report of Agrobacterium vitis Causing Crown Galls of Wine Grape in Russia. PLANT DISEASE. 2016. v. 100. № 4. p. 853-854. DOI: 10.1094/PDIS-09-15-1101-PDN. 58. Ignatov, A. N., Khodykina, M. V., Vinogradova, S. V., Polityko, V. A., Pluschikov, V. G., Kornev, K. P. First Report of Rhizogenic Strains of Agrobacterium radiobacter Biovar 1 Causing Root Mat of Cucumber and Tomato in Russia. PLANT DISEASE. 2016. v. 100. № 7. p. 1493-1493. DOI: 10.1094/PDIS-11-15-1382-PDN. 59. Il’ina, A. V., Kurek, D. V., Zubareva, A. A., Il’in, M. M., Jr., Mestechkina, N. M., Varlamov, V. P. Preparation and characterization of biopolymer nanoparticles based on lactoferrin-polysaccharide complexes. REACTIVE & FUNCTIONAL POLYMERS. 2016. v. 102 . p. 33-38. DOI: 10.1016/j.reactfunctpolym.2016.03.003. 60. Ivanova, Anastasia A., Kulichevskaya, Irina S., Merkel, Alexander Y., Toshchakov, Stepan V., Dedysh, Svetlana N. High Diversity of Planctomycetes in Soils of Two Lichen-Dominated Sub-Arctic Ecosystems of Northwestern Siberia. FRONTIERS IN MICROBIOLOGY. 2016. v. 7 . # 2065 . DOI: 10.3389/fmicb.2016.02065. 61. Ivanova, Anastasia A., Wegner, Carl-Eric, Kim, Yongkyu, Liesack, Werner, Dedysh, Svetlana N. Identification of microbial populations driving biopolymer degradation in acidic peatlands by metatranscriptomic analysis. MOLECULAR ECOLOGY. 2016. v. 25. № 19. p. 4818-4835. DOI: 10.1111/mec.13806. 62. Jangholi, Abolfazl, Ashrafi-Kooshk, Mohammad Reza, Arab, Seyed Shahriar, Riazi, Gholamhossein, Mokhtari, Farzad, Poorebrahim, Mansour, Mandiuni, Hamid, Kurganov, Boris I., Moosavi-Movahedi, Ali Akbar, Khodarahmi, Reza. Appraisal of role of the polyanionic inducer length on amyloid formation by 412-residue 1N4R Tau protein: A comparative study. ARCHIVES OF BIOCHEMISTRY AND BIOPHYSICS. 2016. v. 609 . p. 1-19. DOI: 10.1016/j.abb.2016.09.004. 63. Kalenov, Sergei V., Baurina, Marina M., Skladnev, Dmitry A., Kuznetsov, Alexander Ye. High-effective cultivation of Halobacterium salinarum providing with bacteriorhodopsin production under controlled stress. JOURNAL OF BIOTECHNOLOGY. 2016. v. 233 . p. 211-218. DOI: 10.1016/j.jbiotec.2016.07.014. 64. Karginov, Azamat, Agaphonov, Michael. A simple enrichment procedure improves detection of membrane proteins by immunoblotting. BIOTECHNIQUES. 2016. v. 61. № 5. p. 260-261. DOI: 10.2144/000114474. 65. Karpulevich, A. A., Maksimov, E. G., Sluchanko, N. N., Vasiliev, A. N., Paschenko, V. Z. Highly efficient energy transfer from quantum dot to allophycocyanin in hybrid structures. JOURNAL OF PHOTOCHEMISTRY AND PHOTOBIOLOGY B-BIOLOGY. 2016. v. 160 . p. 96-101. DOI: 10.1016/j.jphotobiol.2016.03.048. 66. Khlupova, Maria, Vasil’eva, Irina, Shumakovich, Galina, Morozova, Olga, Chertkov, Vyacheslav, Shestakova, Alla, Kisinc, Alexander, Yaropolov, Alexander. Laccase-mediated biotransformation of dihydroquercetin (taxifolin). JOURNAL OF MOLECULAR CATALYSIS B-ENZYMATIC. 2016. v. 123 . p. 62-66. DOI: 10.1016/j.molcatb.2015.11.010. 67. Khrenova, Maria G., Solovyev, Ilya D., Azev, Viatcheslav N., Lapshin, Grigory D., Savitsky, Alexander P. Oxoethylene derivative of the natural substrate as an inhibitor of matrix metalloproteinase MMP-2. MENDELEEV COMMUNICATIONS. 2016. v. 26. № 3. p. 207-208. DOI: 10.1016/j.mencom.2016.04.009. 68. Kochetkova, Tatiana V., Kublanov, Ilya V., Toshchakov, Stepan V., Osburn, Magdalena R., Novikov, Andrei A., Bonch-Osmolovskaya, Elizaveta A., Perevalova, Anna A. Thermogladius calderae gen. nov., sp nov., an anaerobic, hyperthermophilic crenarchaeote from a Kamchatka hot spring. INTERNATIONAL JOURNAL OF SYSTEMATIC AND EVOLUTIONARY MICROBIOLOGY. 2016. v. 66. # 3. p. 1407-1412. DOI: 10.1099/ijsem.0.000916. 69. Krasnovsky, Alexander A., Jr., Kozlov, Anton S. Photonics of dissolved oxygen molecules. Comparison of the rates of direct and photosensitized excitation of oxygen and reevaluation of the oxygen absorption coefficients. JOURNAL OF PHOTOCHEMISTRY AND PHOTOBIOLOGY A-CHEMISTRY. 2016. v. 329 . p. 167-174. DOI: 10.1016/j.jphotochem.2016.06.026. 70. Kulichevskaya, Irina S., Ivanova, Anastasia A., Suzina, Natalia E., Rijpstra, W. Irene C., Damste, Jaap S. Sinninghe, Dedysh, Svetlana N. Paludisphaera borealis gen. nov., sp nov., a hydrolytic planctomycete from northern wetlands, and proposal of Isosphaeraceae fam. nov. INTERNATIONAL JOURNAL OF SYSTEMATIC AND EVOLUTIONARY MICROBIOLOGY. 2016. v. 66. # 2. p. 837-844. DOI: 10.1099/ijsem.0.000799. 71. Kulikov, Alexander V., Korostina, Valeria S., Kulikova, Elizabeth A., Fursenko, Dariya V., Akulov, Andrey E., Moshkin, Mikhail P., Prokhortchouk, Egor B. Knockout Zbtb33 gene results in an increased locomotion, exploration and pre-pulse inhibition in mice. BEHAVIOURAL BRAIN RESEARCH. 2016. v. 297 . p. 76-83. DOI: 10.1016/j.bbr.2015.10.003. 72. Kulikova, Natalia A., Abroskin, Dmitry P., Badun, Gennady A., Chernysheva, Maria G., Korobkov, Viktor I., Beer, Anton S., Tsvetkova, Eugenia A., Senik, Svetlana V., Klein, Olga I., Perminova, Irina V. Label Distribution in Tissues of Wheat Seedlings Cultivated with Tritium-Labeled Leonardite Humic Acid. SCIENTIFIC REPORTS. 2016. v. 6 . # 28869 . DOI: 10.1038/srep28869. 73. Kurakov, Anton, Mindlin, Sofia, Beletsky, Alexey, Shcherbatova, Natalya, Rakitin, Andrey, Ermakova, Aleksandra, Mardanov, Andrey, Petrova, Mayya. The ancient small mobilizable plasmid pALWEDI.8 harboring a new variant of the non-cassette streptomycin/spectinomycin resistance gene aadA27. PLASMID. 2016. v. 84-85 . p. 36-43. DOI: 10.1016/j.plasmid.2016.02.005. 74. Kwon, Kyung-Min, Kang, Sung Gyun, Sokolova, Tatyana G., Cho, Sung Suk, Kim, Yun Jae, Kim, Cheorl-Ho, Kwon, Suk-Tae. Characterization of a family B DNA polymerase from Thermococcus barophilus Ch5 and its application for long and accurate PCR. ENZYME AND MICROBIAL TECHNOLOGY. 2016. v. 86 . p. 117-126. DOI: 10.1016/j.enzmictec.2016.02.004. 75. Lopachev, Alexander V., Lopacheva, Olga M., Osipova, Ekaterina A., Vladychenskaya, Elizaveta A., Smolyaninova, Larisa V., Fedorova, Tatiana N., Koroleva, Olga V., Akkuratov, Evgeny E. Ouabain-induced changes in MAP kinase phosphorylation in primary culture of rat cerebellar cells. ENZYME AND MICROBIAL TECHNOLOGY. 2016. v. 34. № 5. p. 367-377. DOI: 10.1002/cbf.3199. 76. Mahajan, Rishi, Nikitina, Anna, Litti, Yury, Nozhevnikova, Alla, Goel, Gunjan. Autochthonous microbial community associated with pine needle forest litterfall influences its degradation under natural environmental conditions. ENVIRONMENTAL MONITORING AND ASSESSMENT. 2016. v. 188. № 7. # 417 . DOI: 10.1007/s10661-016-5421-1. 77. Mahajan, Rishi, Nikitina, Anna, Nozhevnikova, Alla, Goel, Gunjan. Microbial diversity in an anaerobic digester with biogeographical proximity to geothermally active region. ENVIRONMENTAL TECHNOLOGY. 2016. v. 37. № 21. p. 2694-2702. DOI: 10.1080/09593330.2016.1159733. 78. Maksimov, E. G., Moldenhauer, M., Shirshin, E. A., Parshina, E. A., Sluchanko, N. N., Klementiev, K. E., Tsoraev, G. V., Tavraz, N. N., Willoweit, M., Schmitt, F. -J., Breitenbach, J., Sandmann, G., Paschenko, V. Z., Friedrich, T., Rubin, A. B. A comparative study of three signaling forms of the orange carotenoid protein. PHOTOSYNTHESIS RESEARCH. 2016. v. 130. № 1-3, SI. p. 389-401. DOI: 10.1007/s11120-016-0272-8. 79. Mardanov AV, Glukhova LB, Gruzdev EV, Beletsky AV, Karnachuk OV, Ravin NV. The complete mitochondrial genome of the acid-tolerant fungus Penicillium ShG4C. GENOMICS DATA. 2016. v. . № 10. p. 141-143. 80. Mardanov, Andrey V., Beletsky, Alexey V., Kadnikov, Vitaly V., Slobodkin, Alexander I., Ravin, Nikolai V. Genome Analysis of Thermosulfurimonas dismutans, the First Thermophilic Sulfur-Disproportionating Bacterium of the Phylum Thermodesulfobacteria. FRONTIERS IN MICROBIOLOGY. 2016. v. 7 . # 950 . DOI: 10.3389/fmicb.2016.00950. 81. Mardanov, Andrey V., Panova, Inna A., Beletsky, Alexey V., Avakyan, Marat R., Kadnikov, Vitaly V., Antsiferov, Dmitry V., Banks, David, Frank, Yulia A., Pimenov, Nikolay V., Ravin, Nikolai V., Karnachuk, Olga V. Genomic insights into a new acidophilic, copper-resistant Desulfosporosinus isolate from the oxidized tailings area of an abandoned gold mine. FEMS MICROBIOLOGY ECOLOGY. 2016. v. 92. № 8. # fiw111 . DOI: 10.1093/femsec/fiw111. 82. Mardanova, Eugenia S., Kotlyarov, Roman Y., Kuprianov, Victor V., Stepanova, Liudmila A., Tsybalova, Liudmila M., Lomonossoff, George P., Ravin, Nikolai V. High immunogenicity of plant-produced candidate influenza vaccine based on the M2e peptide fused to flagellin. BIOENGINEERED. 2016. v. 7. № 1. p. 28-32. DOI: 10.1080/21655979.2015.1126017. 83. Melton, Emily Denise, Sorokin, Dimitry Y., Overmars, Lex, Chertkov, Olga, Clum, Alicia, Pillay, Manoj, Ivanova, Natalia, Shapiro, Nicole, Kyrpides, Nikos C., Woyke, Tanja, Lapidus, Alla L., Muyzer, Gerard. Complete genome sequence of Desulfurivibrio alkaliphilus strain AHT2(T), a haloalkaliphilic sulfidogen from Egyptian hypersaline alkaline lakes. STANDARDS IN GENOMIC SCIENCES. 2016. v. 11 . # 67 . DOI: 10.1186/s40793-016-0184-4. 84. Messina, Enzo, Sorokin, Dimitry Y., Kublanov, Ilya V., Toshchakov, Stepan, Lopatina, Anna, Arcadi, Erika, Smedile, Francesco, La Spada, Gina, La Cono, Violetta, Yakimov, Michail M. Complete genome sequence of ‘Halanaeroarchaeum sulfurireducens’ M27-SA2, a sulfur-reducing and acetate-oxidizing haloarchaeon from the deep-sea hypersaline anoxic lake Medee. STANDARDS IN GENOMIC SCIENCES. 2016. v. 11 . # 35 . DOI: 10.1186/s40793-016-0155-9. 85. Mindlin, Sofia, Petrenko, Anatolii, Kurakov, Anton, Beletsky, Alexey, Mardanov, Andrey, Petrova, Mayya. Resistance of Permafrost and Modern Acinetobacter lwoffii Strains to Heavy Metals and Arsenic Revealed by Genome Analysis. BIOMED RESEARCH INTERNATIONAL. 2016. v. . # 3970831-. DOI: 10.1155/2016/3970831. 86. Moafian, Zeinab, Khoshaman, Kazem, Oryan, Ahmad, Kurganov, Boris I., Yousefi, Reza. Protective Effects of Acetylation on the Pathological Reactions of the Lens Crystallins with Homocysteine Thiolactone. PLOS ONE. 2016. v. 11. № 10. # e0164139 . DOI: 10.1371/journal.pone.0164139. 87. Moiseenko, Konstantin V., Maloshenok, Liliya G., Vasina, Daria V., Bruskin, Sergey A., Tyazhelova, Tatiana V., Koroleva, Olga V. Laccase multigene families in Agaricomycetes. JOURNAL OF BASIC MICROBIOLOGY. 2016. v. 56. № 12. p. 1392-1397. DOI: 10.1002/jobm.201600224. 88. Monakhova, Natalia, Ryabova, Svetlana, Makarov, Vadim. Synthesis and Some Biological Properties of Pyrrolo[1,2-a]indoles. JOURNAL OF HETEROCYCLIC CHEMISTRY. 2016. v. 53. № 3. p. 685-709. DOI: 10.1002/jhet.2312. 89. Morozova, Irina, Flegontov, Pavel, Mikheyev, Alexander S., Bruskin, Sergey, Asgharian, Hosseinali, Ponomarenko, Petr, Klyuchnikov, Vladimir, ArunKumar, GaneshPrasad, Prokhortchouk, Egor, Gankin, Yuriy, Rogaev, Evgeny, Nikolsky, Yuri, Baranova, Ancha, Elhaik, Eran, Tatarinova, Tatiana V. Toward high-resolution population genomics using archaeological samples. DNA RESEARCH. 2016. v. 23. № 4. p. 295-310. DOI: 10.1093/dnares/dsw029. 90. Nedoluzhko A.V., Sharko F., Boulygina E., Tsygankova S, Sokolov A.,Mazur A.M., Polilov A.,Prokhortchouk E.B. and Skryabin K.G. The complete mitochondrial genome of the smallest known free-living insect Scydosella musawasensis. MITOCHONDRIAL DNA PART B: RESOURCES. 2016. . № 1. p. 179-180. 91. Nikitushkin, V. D., Shleeva, M. O., Zinin, A. I., Trutneva, K. A., Ostrovsky, D. N., Kaprelyants, A. S. The main pigment of the dormant Mycobacterium smegmatis is porphyrin. FEMS MICROBIOLOGY LETTERS. 2016. v. 363. № 19. # fnw206 . DOI: 10.1093/femsle/fnw206. 92. Nikolaev, I. V., Sforza, S., Lambertini, F., Ismailova, D. Yu., Khotchenkov, V. P., Volik, V. G., Dossena, A., Popov, V. O., Koroleva, O. V. Biocatalytic conversion of poultry processing leftovers: Optimization of hydrolytic conditions and peptide hydrolysate characterization. FOOD CHEMISTRY. 2016. v. 197. A. p. 611-621. DOI: 10.1016/j.foodchem.2015.10.114. 93. Nikonenko, Boris V., Kornienko, Albert, Majorov, Konstantin, Ivanov, Pavel, Kondratieva, Tatiana, Korotetskaya, Maria, Apt, Alexander S., Salina, Elena, Velezheva, Valeriya. In Vitro Activity of 3-Triazeneindoles against Mycobacterium tuberculosis and Mycobacterium avium. ANTIMICROBIAL AGENTS AND CHEMOTHERAPY. 2016. v. 60. № 10. p. 6422-6424. DOI: 10.1128/AAC.00998-16. 94. Obbels, Dagmar, Verleyen, Elie, Mano, Marie-Jose, Namsaraev, Zorigto, Sweetlove, Maxime, Tytgat, Bjorn, Fernandez-Carazo, Rafael, De Wever, Aaike, D’hondt, Sofie, Ertz, Damien, Elster, Josef, Sabbe, Koen, Willems, Anne, Wilmotte, Annick, Vyverman, Wim. Bacterial and eukaryotic biodiversity patterns in terrestrial and aquatic habitats in the Sor Rondane Mountains, Dronning Maud Land, East Antarctica. FEMS MICROBIOLOGY ECOLOGY. 2016. v. 92. № 6. # fiw041-. DOI: 10.1093/femsec/fiw041. 95. Orlova, Maria V., Tarlachkov, Sergey V., Dubinina, Galina A., Belousova, Elena V., Tutukina, Maria N., Grabovich, Margarita Y. Genomic insights into metabolic versatility of a lithotrophic sulfur-oxidizing diazotrophic Alphaproteobacterium Azospirillum thiophilum. FEMS MICROBIOLOGY ECOLOGY. 2016. v. 92. № 12. # fiw199 . DOI: 10.1093/femsec/fiw199. 96. Oshkin, Igor Y., Belova, Svetlana E., Danilova, Olga V., Miroshnikov, Kirill K., Rijpstra, W. Irene C., Damste, Jaap S. Sinninghe, Liesack, Werner, Dedysh, Svetlana N. Methylovulum psychrotolerans sp nov:, a cold-adapted methanotroph from low-temperature terrestrial environments, and emended description of the genus Methylovulum. INTERNATIONAL JOURNAL OF SYSTEMATIC AND EVOLUTIONARY MICROBIOLOGY. 2016. v. 66. # 6. p. 2417-2423. DOI: 10.1099/ijsem.0.001046. 97. Otrokhov, Grigory V., Shumakovich, Galina P., Khlupova, Maria E., Vasil’eva, Irina S., Kaplan, Igor B., Zaitchik, Boris T., Zaitseva, Elena A., Morozova, Olga V., Yaropolov, Alexander I. Biocatalytic approach as alternative to chemical synthesis of polyaniline/carbon nanotube composite with enhanced electrochemical properties. RSC ADVANCES. 2016. v. 6. № 65. p. 60372-60375. DOI: 10.1039/c6ra12352j. 98. Panchin, Alexander Y., Makeev, Vsevolod J., Medvedeva, Yulia A. Preservation of methylated CpG dinucleotides in human CpG islands. BIOLOGY DIRECT. 2016. v. 11 . # 11-. DOI: 10.1186/s13062-016-0113-x. 99. Panferov, Vasily G., Safenkova, Irina V., Varitsev, Yury A., Drenova, Natalia V., Kornev, Konstantin P., Zherdev, Anatoly V., Dzantiev, Boris B. Development of the sensitive lateral flow immunoassay with silver enhancement for the detection of Ralstonia solanacearum in potato tubers. TALANTA. 2016. v. 152 . p. 521-530. DOI: 10.1016/j.talanta.2016.02.050. 100. Pankratov, Dmitry, Gonzalez-Arribas, Elena, Blum, Zoltan, Shleev, Sergey. Tear Based Bioelectronics. ELECTROANALYSIS. 2016. v. 28. № 6. p. 1250-1266. DOI: 10.1002/elan.201501116. 101. Pankratov, Dmitry, Ohlsson, Lars, Gudmundsson, Petri, Halak, Sanela, Ljunggren, Lennart, Blum, Zoltan, Shleev, Sergey. Ex vivo electric power generation in human blood using an enzymatic fuel cell in a vein replica. RSC ADVANCES. 2016. v. 6. № 74. p. 70215-70220. DOI: 10.1039/c6ra17122b. 102. Pashintseva, Natalya V., Shishkin, Sergey S., Lisitskaya, Kseniya V., Kovalev, Leonid I., Kovaleva, Marina A., Eryomina, Lidia S., Kamenikhina, Inna A., Novikova, Lyudmila A., Sadykhov, Elchin G. Study of Splicing Factor, Proline- and Glutamine-rich by Proteomic Techniques in Human Malignant and Nonmalignant Cell Lines. PROTEIN AND PEPTIDE LETTERS. 2016. v. 23. № 11. p. 958-966. DOI: 10.2174/0929866523666160914174007. 103. Perevalova, Anna A., Kublanov, Ilya V., Bidzhieva, Salima Kh., Mukhopadhyay, Biswarup, Bonch-Osmolovskaya, Elizaveta A., Lebedinsky, Alexander V. Reclassification of Desulfurococcus mobilis as a synonym of Desulfurococcus mucosus, Desulfurococcus fermentans and Desulfurococcus kamchatkensis as synonyms of Desulfurococcus amylolyticus, and emendation of the D-mucosus and D-amylolyticus species descriptions. INTERNATIONAL JOURNAL OF SYSTEMATIC AND EVOLUTIONARY MICROBIOLOGY. 2016. v. 66. № 1. p. 514-517. DOI: 10.1099/ijsem.0.000747. 104. Petrakova A.V., Urusov A.E., Zherdev A.V., Dzantiev B.B. Yes/no rapid microwell immunoenzyme assay for non-laboratory monitoring of food contaminants. INTERNATIONAL JOURNAL OF APPLIED ENGINEERING RESEARCH. 2016. . № 19. p. 9700-9704. 105. Podosokorskaya, Olga A., Merkel, Alexander Y., Gavrilov, Sergey N., Fedoseev, Igor, van Heerden, Esta, Cason, Errol D., Novikov, Andrey A., Kolganova, Tatyana V., Korzhenkov, Aleksei A., Bonch-Osmolovskaya, Elizaveta A., Kublanov, Ilya V. Tepidibacillus infernus sp nov., a moderately thermophilic, selenate- and arsenate-respiring hydrolytic bacterium isolated from a gold mine, and emended description of the genus Tepidibacillus. INTERNATIONAL JOURNAL OF SYSTEMATIC AND EVOLUTIONARY MICROBIOLOGY. 2016. v. 66. # 8. p. 3189-3194. DOI: 10.1099/ijsem.0.001166. 106. Porotikova, E. V., Dmitrenko, U. D., Volodin, V. A., Volkov, Y. A., Gorislavets, S. M., Stranishevskaya, E. P., Risovannaya, V. I., Kamionskaya, A. M., Vinogradova, S. V. First Report of Grapevine virus A in Russian Grapevines. PLANT DISEASE. 2016. v. 100. № 12. p. 2542-2542. DOI: 10.1094/PDIS-06-16-0804-PDN. 107. Poser, Alexander, Vogt, Carsten, Knoeller, Kay, Sorokin, Dimitry Y., Finster, Kai W., Richnow, Hans-H. Sulfur and Oxygen Isotope Fractionation During Bacterial Sulfur Disproportionation Under Anaerobic Haloalkaline Conditions. GEOMICROBIOLOGY JOURNAL. 2016. v. 33. № 10. p. 934-941. DOI: 10.1080/01490451.2015.1128993. 108. Poverennaya, Ekaterina V., Kopylov, Arthur T., Ponomarenko, Elena A., Ilgisonis, Ekaterina V., Zgoda, Victor G., Tikhonova, Olga V., Novikova, Svetlana E., Farafonova, Tatyana E., Kiseleva, Yana Yu., Radko, Sergey P., Vakhrushev, Igor V., Yarygin, Konstantin N., Moshkovskii, Sergei A., Kiseleva, Olga I., Lisitsa, Andrey V., Sokolov, Alexey S., Mazur, Alexander M., Prokhortchouk, Egor B., Skryabin, Konstantin G., Kostrjukova, Elena S., Tyakht, Alexander V., Gorbachev, Alexey Yu., Ilina, Elena N., Govorun, Vadim M., Archakov, Alexander I. State of the Art of Chromosome 18-Centric HPP in 2016: Transcriptome and Proteome Profiling of Liver Tissue and HepG2 Cells. JOURNAL OF PROTEOME RESEARCH. 2016. v. 15. № 11. p. 4030-4038. DOI: 10.1021/acs.jproteome.6b00380. 109. Pshennikova, Elena S., Voronina, Anna S. The proteins of Vent-family and their mRNAs are located in different areas of the tails of Zebrafish and Xenopus embryos. INTERNATIONAL JOURNAL OF BIOCHEMISTRY & CELL BIOLOGY. 2016. v. 79 . p. 388-392. DOI: 10.1016/j.biocel.2016.09.007. 110. Pugacheva, Valentina, Korotkov, Alexander, Korotkov, Eugene. Search of latent periodicity in amino acid sequences by means of genetic algorithm and dynamic programming. STATISTICAL APPLICATIONS IN GENETICS AND MOLECULAR BIOLOGY. 2016. v. 15. № 5. p. 381-400. DOI: 10.1515/sagmb-2015-0079. 111. Rabinovich, M. L. . Targeted delivery of mitochondrial protectors prevents cardiolipin oxidation and cell degeneration following brain trauma or radiation injury. LIPID TECHNOLOGY. 2016. . № 05-06. p. 99-103. 112. Rabinovich, Mikhail L., Fedoryak, Olesya, Dobele, Galina, Andersone, Anna, Gawdzik, Barbara, Lindstrom, Mikael E., Sevastyanova, Olena. Carbon adsorbents from industrial hydrolysis lignin: The USSR/Eastern European experience and its importance for modern biorefineries. RENEWABLE & SUSTAINABLE ENERGY REVIEWS. 2016. v. 57 . p. 1008-1024. DOI: 10.1016/j.rser.2015.12.206. 113. Rastorguev, S. M., Nedoluzhko, A. V., Sharko, F. S., Boulygina, E. S., Sokolov, A. S., Gruzdeva, N. M., Skryabin, K. G., Prokhortchouk, E. B. Identification of novel microRNA genes in freshwater and marine ecotypes of the three-spined stickleback (Gasterosteus aculeatus). MOLECULAR ECOLOGY RESOURCES. 2016. v. 16. № 6. p. 1491-1498. DOI: 10.1111/1755-0998.12545. 114. Ravin N.V., Gruzdev E.V., Beletsky A.V., Mazur A.M., Prokhortchouk E.B., Filyushin M.A., Kochieva E.Z., Kadnikov V.V., Mardanov A.V. and Skryabin K.G. The loss of photosynthetic pathways in the plastid and nuclear genomes of the non-photosynthetic mycoheterotrophic eudicot Monotropa hypopitys. BMC PLANT BIOLOGY. 2016. v. 16. (Suppl 3). p. 153-161. 115. Roman, Pawel, Klok, Johannes B. M., Sousa, Joao A. B., Broman, Elias, Dopson, Mark, Van Zessen, Erik, Bijmans, Martijn F. M., Sorokin, Dimitry Y., Janssen, Albert J. H. Selection and Application of Sulfide Oxidizing Microorganisms Able to Withstand Thiols in Gas Biodesulfurization Systems. ENVIRONMENTAL SCIENCE & TECHNOLOGY. 2016. v. 50. № 23. p. 12808-12815. DOI: 10.1021/acs.est.6b04222. 116. Roman, Pawel, Lipinska, Joanna, Bijrnans, Martijn F. M., Sorokin, Dimitry Y., Keesman, Karel J., Janssen, Albert J. H. Inhibition of a biological sulfide oxidation under haloalkaline conditions by thiols and diorgano polysulfanes. WATER RESEARCH. 2016. v. 101 . p. 448-456. DOI: 10.1016/j.watres.2016.06.003. 117. Safenkova, Irina V., Pankratova, Galina K., Zaitsev, Ilya A., Varitsev, Yuri A., Vengerov, Yuri Y., Zherdev, Anatoly V., Dzantiev, Boris B. Multiarray on a test strip (MATS): rapid multiplex immunodetection of priority potato pathogens. ANALYTICAL AND BIOANALYTICAL CHEMISTRY. 2016. v. 408. № 22. p. 6009-6017. DOI: 10.1007/s00216-016-9463-6. 118. Safenkova, Irina V., Slutskaya, Elvira S., Panferov, Vasily G., Zherdev, Anatoly V., Dzantiev, Boris B. Complex analysis of concentrated antibody-gold nanoparticle conjugates’ mixtures using asymmetric flow field-flow fractionation. JOURNAL OF CHROMATOGRAPHY A. 2016. v. 1477 . p. 56-63. DOI: 10.1016/j.chroma.2016.11.040. 119. Safonova, T. N., Mordkovich, N. N., Veiko, V. P., Okorokova, N. A., Manuvera, V. A., Dorovatovskii, P. V., Popov, V. O., Polyakov, K. M. Concerted action of two subunits of the functional dimer of Shewanella oneidensis MR-1 uridine phosphorylase derived from a comparison of the C212S mutant and the wild-type enzyme. ACTA CRYSTALLOGRAPHICA SECTION D-STRUCTURAL BIOLOGY. 2016. v. 72 . p. 203-210. DOI: 10.1107/S2059798315024353. 120. Scherbakov, Alexander M., Sorokin, Danila V., Tatarskiy, Victor V., Jr., Prokhorov, Nikolay S., Semina, Svetlana E., Berstein, Lev M., Krasil’nikov, Mikhail A. The phenomenon of acquired resistance to metformin in breast cancer cells: The interaction of growth pathways and estrogen receptor signaling. IUBMB LIFE. 2016. v. 68. № 4. p. 281-292. DOI: 10.1002/iub.1481. 121. Schulga, A. A., Mechev, P. V., Kirpichnikov, M. P., Skryabin, K. G., Deyev, S. M. Construction of the plasmid-free strain for human growth hormone production. BIOCHIMIE. 2016. v. 128 . p. 148-153. DOI: 10.1016/j.biochi.2016.08.007. 122. Scoffone, Viola C., Chiarelli, Laurent R., Makarov, Vadim, Brackman, Gilles, Israyilova, Aygun, Azzalin, Alberto, Forneris, Federico, Riabova, Olga, Savina, Svetlana, Coenye, Tom, Riccardi, Giovanna, Buroni, Silvia. Discovery of new diketopiperazines inhibiting Burkholderia cenocepacia quorum sensing in vitro and in vivo. SCIENTIFIC REPORTS. 2016. v. 6 . # 32487 . DOI: 10.1038/srep32487. 123. Sergiev, Petr V., Artemov, Artem A., Prokhortchouk, Egor B., Dontsova, Olga A., Berezkin, Grigory V. Genomes of Strongylocentrotus franciscanus and Lytechinus variegatus: are there any genomic explanations for the two order of magnitude difference in the lifespan of sea urchins?. AGING-US. 2016. v. 8. № 2. p. 260-271. 124. Shanin I.A., Zvereva E.A., Zherdev A.V., Eremin S.A., Dzantiev B.B. Development of fluorescence polarisation and enzyme-linked immunosorbent assays for danofloxacin detection in milk. INTERNATIONAL JOURNAL OF CHEMICAL SCIENCES. 2016. . № 1. p. 283-298. 125. Shankhwar, Soni, Gaur, Mulayam Singh, Sharma, Amit Kumar, Yadav, Rajni, Berlina, Anna N., Zherdev, Anatoly V., Dzantiev, Boris B. Novel Preparation of Gold Nanoparticles with Application for the Amperometric Determination of Arsenic. ANALYTICAL LETTERS. 2016. v. 49. № 9. p. 1388-1397. DOI: 10.1080/00032719.2015.1104322. 126. Shchennikova, Anna V., Beletsky, Alexey V., Shulga, Olga A., Mazur, Alexander M., Prokhortchouk, Egor B., Kochieva, Elena Z., Ravin, Nikolay V., Skryabin, Konstantin G. Deep-sequence profiling of miRNAs and their target prediction in Monotropa hypopitys. PLANT MOLECULAR BIOLOGY. 2016. v. 91. № 4-5. p. 441-458. DOI: 10.1007/s11103-016-0478-3. 127. Shcherban, A. B., Kochieva, E. Z., Salina, E. A. Diversification of the Homoeologous Lr34 Sequences in Polyploid Wheat Species and Their Diploid Progenitors. JOURNAL OF MOLECULAR EVOLUTION. 2016. v. 82. № 6. p. 291-302. DOI: 10.1007/s00239-016-9748-6. 128. Shumaev, Konstantin B., Kosmachevskaya, Olga V., Chumikina, Ludmila V., Topunov, Alexey F. Dinitrosyl Iron Complexes and other Physiological Metabolites of Nitric Oxide: Multifarious Role in Plants. NATURAL PRODUCT COMMUNICATIONS. 2016. v. 11. № 8. p. 1189-1192. 129. Shurubor, Yevgeniya I., Cooper, Arthur J. L., Isakova, Elena P., Deryabina, Yulia I., Beal, M. Flint, Krasnikov, Boris E. HPLC determination of alpha-ketoglutaramate [5-amino-2, 5-dioxopentanoate] in biological samples. ANALYTICAL BIOCHEMISTRY. 2016. v. 494 . p. 52-54. DOI: 10.1016/j.ab.2015.11.003. 130. Shurubor, Yevgeniya I., Cooper, Arthur J. L., Isakova, Elena P., Deryabina, Yulia I., Beal, M. Flint, Krasnikov, Boris F. Simultaneous determination of tricarboxylic acid cycle metabolites by high-performance liquid chromatography with ultraviolet detection. ANALYTICAL BIOCHEMISTRY. 2016. v. 503 . p. 8-10. DOI: 10.1016/j.ab.2016.03.004. 131. Slobodkin, A. I., Slobodkina, G. B., Panteleeva, A. N., Chernyh, N. A., Novikov, A. A., Bonch-Osmolovskaya, E. A. Dissulfurimicrobium hydrothermale gen. nov., sp nov., a thermophilic, autotrophic, sulfur-disproportionating deltaproteobacterium isolated from a hydrothermal pond. INTERNATIONAL JOURNAL OF SYSTEMATIC AND EVOLUTIONARY MICROBIOLOGY. 2016. v. 66. # 2. p. 1022-1026. DOI: 10.1099/ijsem.0.000828. 132. Slobodkina, Galina B., Baslerov, Roman V., Novikov, Andrei A., Viryasov, Mikhail B., Bonch-Osmolovskaya, Elizaveta A., Slobodkin, Alexander I. Inmirania thermothiophila gen. nov., sp nov., a thermophilic, facultatively autotrophic, sulfur-oxidizing gammaproteobacterium isolated from a shallow-sea hydrothermal vent. INTERNATIONAL JOURNAL OF SYSTEMATIC AND EVOLUTIONARY MICROBIOLOGY. 2016. v. 66. # 2. p. 701-706. DOI: 10.1099/ijsem.0.000773. 133. Slobodkina, Galina B., Kolganova, Tatyana V., Kopitsyn, Dmitry S., Viryasov, Mikhail B., Bonch-Osmolovskaya, Elizaveta A., Slobodkin, Alexander I. Dissulfurirhabdus thermomarina gen. nov., sp nov., a thermophilic, autotrophic, sulfite-reducing and disproportionating deltaproteobacterium isolated from a shallow-sea hydrothermal vent. INTERNATIONAL JOURNAL OF SYSTEMATIC AND EVOLUTIONARY MICROBIOLOGY. 2016. v. 66. # 7. p. 2515-2519. DOI: 10.1099/ijsem.0.001083. 134. Slobodkina, Galina B., Panteleeva, Angela N., Beskorovaynaya, Darya A., Bonch-Osmolovskaya, Elizaveta A., Slobodkin, Alexander I. Thermostilla marina gen. nov., sp nov., a thermoephilic, facultatively anaerobic planctomycete isolated from a shallow submarine hydrothermal vent. INTERNATIONAL JOURNAL OF SYSTEMATIC AND EVOLUTIONARY MICROBIOLOGY. 2016. v. 66. # 2. p. 633-638. DOI: 10.1099/ijsem.0.000767. 135. Sluchanko, Nikolai N., Tugaeva, Kristina V., Faletrov, Yaroslav V., Levitsky, Dmitrii I. High-yield soluble expression, purification and characterization of human steroidogenic acute regulatory protein (StAR) fused to a cleavable Maltose-Binding Protein (MBP). PROTEIN EXPRESSION AND PURIFICATION. 2016. v. 119 . p. 27-35. DOI: 10.1016/j.pep.2015.11.002. 136. Sokolov, A. S., Nedoluzhko, A. V., Boulygina, B. S., Tsygankova, S. V., Sharko, F. S., Gruzdeva, N. M., Shishlov, A. V., Kolpakova, A. V., Rezepkin, A. D., Skryabin, K. G., Prokhortchouk, E. B. Six complete mitochondrial genomes from Early Bronze Age humans in the North Caucasus. JOURNAL OF ARCHAEOLOGICAL SCIENCE. 2016. v. 73 . p. 138-144. DOI: 10.1016/j.jas.2016.07.017. 137. Soler-Jofra, Aina, Stevens, Berber, Hoekstra, Maaike, Picioreanu, Cristian, Sorokin, Dmitry, van Loosdrecht, Mark C. M., Perez, Julio. Importance of abiotic hydroxylamine conversion on nitrous oxide emissions during nitritation of reject water. CHEMICAL ENGINEERING JOURNAL. 2016. v. 287 . p. 720-726. DOI: 10.1016/j.cej.2015.11.073. 138. Sorokin, D. Y., Chernyh, N. A. ‘Candidatus Desulfonatronobulbus propionicus’: a first haloalkaliphilic member of the order Syntrophobacterales from soda lakes. EXTREMOPHILES. 2016. v. 20. № 6. p. 895-901. DOI: 10.1007/s00792-016-0881-3. 139. Sorokin, Dimitry Y., Abbas, Ben, Geleijnse, Mitchell, Kolganova, Tatjana V., Kleerebezem, Robbert, van Loosdrecht, Mark C. M. Syntrophic associations from hypersaline soda lakes converting organic acids and alcohols to methane at extremely haloalkaline conditions. ENVIRONMENTAL MICROBIOLOGY. 2016. v. 18. № 9. p. 3189-3202. DOI: 10.1111/1462-2920.13448. 140. Sorokin, Dimitry Y., Kublanov, Ilya V., Yakimov, Mikhail M., Rijpstra, W. Irene C., Damste, Jaap S. Sinninghe. Halanaeroarchaeum sulfurireducens gen. nov., sp nov., the first obligately anaerobic sulfur-respiring haloarchaeon, isolated from a hypersaline lake. INTERNATIONAL JOURNAL OF SYSTEMATIC AND EVOLUTIONARY MICROBIOLOGY. 2016. v. 66. # 6. p. 2377-2381. DOI: 10.1099/ijsem.0.001041. 141. Sorokin, Dimitry Y., Rakitin, Andrey L., Gumerov, Vadim M., Beletsky, Alexey V., Damste, Jaap S. Sinninghe, Mardanov, Andrey V., Ravin, Nikolai V. Phenotypic and Genomic Properties of Chitinispirillum alkaliphilum gen. nov., sp nov., A Haloalkaliphilic Anaerobic Chitinolytic Bacterium Representing a Novel Class in the Phylum Fibrobacteres. FRONTIERS IN MICROBIOLOGY. 2016. v. 7 . # 407 . DOI: 10.3389/fmich.2016.00407. 142. Sotnikov, Dmitriy V., Radchenko, Aleksandra S., Zherdev, Anatoly V., Dzantiev, Boris B. Determination of the composition and functional activity of the conjugates of colloidal gold and antibodies. EURASIAN JOURNAL OF ANALYTICAL CHEMISTRY. 2016. v. 11. № 3. p. 169-179. 143. Svirshchevskaya Е.V., Gracheva I.A., Kuznetsov A.G., Myrsikova E.V., Grechikhina M.V., Zubareva A.A., Fedorov A.Yu. Antitumor Activity of Furanoallocolchicinoid-Chitosan Conjugate,. MED CHEM (LOS ANGELES). 2016. . № 6. p. 571-577. 144. Taranova N.A., Semeykina A.A., Andzeviciute E., Zherdev A.V., Dzantiev B.B. . Formats of sensitive immunochromatographic assay: Comparative study on the example of herbicide atrazine. INTERNATIONAL JOURNAL OF APPLIED CHEMISTRY. 2016. . № 4. p. 513-525. 145. Tytgat, Bjorn, Verleyen, Elie, Sweetlove, Maxime, D’hondt, Sofie, Clercx, Pia, Van Ranst, Eric, Peeters, Karolien, Roberts, Stephen, Namsaraev, Zorigto, Wilmotte, Annick, Vyverman, Wim, Willems, Anne. Bacterial community composition in relation to bedrock type and macrobiota in soils from the Sor Rondane Mountains, East Antarctica. FEMS MICROBIOLOGY ECOLOGY. 2016. v. 92. № 9. # fiw126 . DOI: 10.1093/femsec/fiw126. 146. Tyupa D.V., Kalenov S.V., Baurina M.M., Kabanov O.V., Skladnev D.A., Kuznetsov A.Ye. Optimization of silver biosorption by fungi forming granules from aqueous solutions of silver nitrate. CLEAN TECHNOLOGIES AND ENVIRONMENTAL POLICY. 2016. . № 1. p. 53-62. 147. Tyupa, Dmitry V., Kalenov, Sergei V., Baurina, Marina M., Yakubovich, Liubov M., Morozov, Alexander N., Zakalyukin, Ruslan M., Sorokin, Vladimir V., Skladnev, Dmitry A. Efficient continuous biosynthesis of silver nanoparticles by activated sludge micromycetes with enhanced tolerance to metal ion toxicity. ENZYME AND MICROBIAL TECHNOLOGY. 2016. v. 95. SI. p. 137-145. DOI: 10.1016/j.enzmictec.2016.10.008. 148. Vasilevskaya, Tatiana, Khrenova, Maria G., Nemukhin, Alexander V., Thiel, Walter. Methodological aspects of QM/MM calculations: A case study on matrix metalloproteinase-2. JOURNAL OF COMPUTATIONAL CHEMISTRY. 2016. v. 37. № 19. p. 1801-1809. DOI: 10.1002/jcc.24395. 149. Vasilieva, Tatiana, Lopatin, Sergey, Varlamov, Valery, Miasnikov, Vladimir, Hein, Aung Myat, Vasiliev, Michael. Hydrolysis of chitin and chitosan in low temperature electron-beam plasma. PURE AND APPLIED CHEMISTRY. 2016. v. 88. № 9. p. 873-879. DOI: 10.1515/pac-2016-0603. 150. Vasina, Daria V., Pavlov, Andrey R., Koroleva, Olga V. Extracellular proteins of Trametes hirsuta st. 072 induced by copper ions and a lignocellulose substrate. BMC MICROBIOLOGY. 2016. v. 16 . # 106-. DOI: 10.1186/s12866-016-0729-0. 151. Vavourakis, Charlotte D., Ghai, Rohit, Rodriguez-Valera, Francisco, Sorokin, Dimitry Y., Tringe, Susannah G., Hugenholtz, Philip, Muyzer, Gerard. Metagenomic Insights into the Uncultured Diversity and Physiology of Microbes in Four Hypersaline Soda Lake Brines. FRONTIERS IN MICROBIOLOGY. 2016. v. 7 . # UNSP 211 . DOI: 10.3389/fmicb.2016.00211. 152. Vdovenko, M. M., Byzova, N. A., Zherdev, A. V., Dzantiev, B. B., Sakharov, I. Yu. Ternary covalent conjugate (antibody-gold nanoparticle-peroxidase) for signal enhancement in enzyme immunoassay. RSC ADVANCES. 2016. v. 6. № 54. p. 48827-48833. DOI: 10.1039/c6ra04785h. 153. Volikov, Alexander B., Kholodov, Vladimir A., Kulikova, Natalya A., Philippova, Olga I., Ponomarenko, Sergey A., Lasareva, Elena V., Parfyonova, Aksana M., Hatfield, Kirk, Perminova, Irina V. Silanized humic substances act as hydrophobic modifiers of soil separates inducing formation of water-stable aggregates in soils. CATENA. 2016. v. 137 . p. 229-236. DOI: 10.1016/j.catena.2015.09.022. 154. Wang, Kai, Liu, Zhiping, Ji, Pei, Liu, Jianfeng, Eremin, Sergei A., Li, Qing X., Li, Ji, Xu, Ting. A camelid VHH-based fluorescence polarization immunoassay for the detection of tetrabromobisphenol A in water. ANALYTICAL METHODS. 2016. v. 8. № 39. p. 7265-7271. DOI: 10.1039/c6ay01603k. 155. Zabelin, Alexey A., Neverov, Konstantin V., Krasnovsky, Alexander A., Shkuropatova, Valentina A., Shuvalov, Vladimir A., Shkuropatov, Anatoly Ya. Characterization of the low-temperature triplet state of chlorophyll in photosystem II core complexes: Application of phosphorescence measurements and Fourier transform infrared spectroscopy. BIOCHIMICA ET BIOPHYSICA ACTA-BIOENERGETICS. 2016. v. 1857. № 6. p. 782-788. DOI: 10.1016/j.bbabio.2016.03.029. 156. Zarafeta, Dimitra, Moschidi, Danai, Ladoukakis, Efthymios, Gavrilov, Sergey, Chrysina, Evangelia D., Chatziioannou, Aristotelis, Kublanov, Ilya, Skretas, Georgios, Kolisis, Fragiskos N. Metagenomic mining for thermostable esterolytic enzymes uncovers a new family of bacterial esterases. SCIENTIFIC REPORTS. 2016. v. 6 . # 38886 . DOI: 10.1038/srep38886. 157. Zavarzina, Dania G., Chistyakova, Natalya I., Shapldn, Alexey V., Savenko, Alla V., Zhilina, Tatyana N., Kevbrin, Vadim V., Alekseeva, Tatiana V., Mardanov, Andrey V., Gavrilov, Sergey N., Bychkov, Andrey Yu. Oxidative biotransformation of biotite and glauconite by alkaliphilic anaerobes: The effect of Fe oxidation on the weathering of phyllosilicates. CHEMICAL GEOLOGY. 2016. v. 439 . p. 98-109. DOI: 10.1016/j.chemgeo.2016.06.015. 158. Zlenko, Dmitry V., Krasilnikov, Pavel M., Stadnichuk, Igor N. Role of inter-domain cavity in the attachment of the orange carotenoid protein to the phycobilisome core and to the fluorescence recovery protein. JOURNAL OF BIOMOLECULAR STRUCTURE & DYNAMICS. 2016. v. 34. № 3. p. 486-496. DOI: 10.1080/07391102.2015.1042913. 159. Анисимкин В.И., Покусаев Б.Г., Складнев Д.А., Сорокин В.В., Тюпа Д.В. . Применение акустоэлектронной методики для исследования упорядоченных микроструктурированных дисперсных систем с биологическими объектами, включенными в гидрогель. АКУСТИЧЕСКИЙ ЖУРНАЛ, ACOUSTICAL PHYSICS. 2016. т. 62. № 6. p. 738-743. 160. Антипов А. Н., Хижняк Т. В. Восстановление ванадата в щелочных условиях галоалкалофильными штаммами рода Halomonas. МИКРОБИОЛОГИЯ. 2016. т. 85. № 6. p. 635-642. 161. Атрошенко Д.Л., Голубев И.В., Савин С.С., Тишков В.И. ВЛИЯНИЕ ЗАМЕНЫ ОСТАТКОВ MET НА ОСТАТОК LEU НА КАТАЛИТИЧЕСКИЕ СВОЙСТВА, ОКИСЛИТЕЛЬНУЮ И ТЕМПЕРАТУРНУЮ СТАБИЛЬНОСТИ ОКСИДАЗЫ D-АМИНОКИСЛОТ ДРОЖЖЕЙ. ВЕСТНИК МОСКОВСКОГО УНИВЕРСИТЕТА. СЕРИЯ 2: ХИМИЯ. 2016. т. 57. № 4. p. 253-263. 162. Безбородов А.М., Загустина Н.А. Ферментативные реакции в химикоэнзиматическом синтезе лекарственных препаратов (обзор). ПРИКЛАДНАЯ БИОХИМИЯ И МИКРОБИОЛОГИЯ. 2016. т. 52. № 3. p. 257-271. 163. Бекасова О.Д., Борзова В.А., Шубин В.В., Ковалёв Л.И., Штейн-Марголина В.А., Курганов Б.И. Повышение устойчивости R-фикоэритрина к термоагрегации наночастицами серебра, синтезированными в наноканалах пигмента. ПРИКЛАДНАЯ БИОХИМИЯ И МИКРОБИОЛОГИЯ. 2016. т. 52. № 1. p. 115-121. 164. Бойко К.М., Тимофеев В.И., Самыгина В.Р., Куранова И.П., Попов В.О., Ковальчук М.В. Кристаллизация белков в условиях микрогравитации. Анализ результатов российских экспериментов на МКС в 2005-2015 гг. КРИСТАЛЛОГРАФИЯ. 2016. т. 61. № 5. p. 691-702. 165. Болтянская Ю.В., Кевбрин В.В. Трофические взаимодействия протеолитической бактерии Proteinivorax tanatarense в алкалофильном микробном сообществе. МИКРОБИОЛОГИЯ. 2016. т. 85. № 4. p. 458-465. 166. Бонарцев А.П., Бонарцева Г.А., Мышкина В.Л., Воинова В.В., Махина Т.K., Жаркова И.И., Яковлев С.Г., Зернов А.Л., Иванова Э.В., Акулина Е.А., Кузнецова Е.С., Жуйков В.А., Алексеева С.Г., Подгорский В.В., Бессонов И.В., Копицына М.Н., Морозов А.С., Милановский Е.Ю., Тюгай З.Н., Быкова Г.С., Кирпичников М.П., Шайтан К.В. Биосинтез сополимера поли-3-оксибутират-со-3-окси-4-метилвалерата штаммом Azotobacter chroococcum 7б. ACTA NATURAE. 2016. v. 8. № 3. p. 85-96. 167. Брюханов А.Л., Корнеева В.А., Динариева Т.Ю., Карначук О.В., Нетрусов А.И., Пименов Н.В. . Компоненты антиокислительных систем в клетках аэротолерантных сульфатредуцирующих бактерий рода Desulfovibrio (Штаммы А2 и Tomc), выделенных их отходов добычи металлов. МИКРОБИОЛОГИЯ. 2016. т. 85. № 6. p. 625-634. 168. Булаев А.Г. Сухачева М.В., Кузнецов Б.Б. . Применение метода REP-PCR для типирования близкородственных штаммов эвриархей рода Acidiplasma (Thermoplasmatales). МИКРОБИОЛОГИЯ. 2016. т. 85. № 2. p. 223-226. 169. Булаев А.Г., Першина Е.В., Украинцев И.В. Состояние развития современных биогидрометаллургических технологий и перспективы их использования в России. ЦВЕТНЫЕ МЕТАЛЛЫ. 2016. . № 10. p. 29-35. 170. Булахов А.Г., Гусаков А.В., Чекушина А.В., Сатрутдинов А.Д., Кошелев А.В., Матыс В.Ю., Синицын А.П. . Получение гомогенных полисахаридмнооксигеназ и изучение их синергизма с целлюлазами при действии на целлюлозу. БИОХИМИЯ. 2016. т. 81. № 5. p. 702-711. 171. Варламов В.П., Яковлева И.В. Современные перспективы в исследовании хитина и хитозана. ПРИКЛАДНАЯ БИОХИМИЯ И МИКРОБИОЛОГИЯ. 2016. т. 52. № 5. p. 447-447. 172. Васильева Т.М., Лопатин С.А., Варламов В.П. ПОЛУЧЕНИЕ НИЗКОМОЛЕКУЛЯРНЫХ ФОРМ ХИТИНА И ХИТОЗАНА В ЭЛЕКТРОННО-ПУЧКОВОЙ ПЛАЗМЕ. ХИМИЯ ВЫСОКИХ ЭНЕРГИЙ HIGH ENERGY CHEMISTRY. 2016. т. 50. № 2. p. 155-159. DOI: 10.1134/S0018143916020089. 173. Великорецкая И.А., Середа А.С., Костылева Е.В., Веселкина Т.Н., Цурикова Н.В., Синицын А.П. EFFECT OF PENICILLIUM VERRUCULOSUM ENDOGLUCANASE TREATMENT ON THE NEVER-DRIED HARDWOOD KRAFT PULP BEATABILITY AND PROPERTIES. NANO, BIO AND GREEN — TECHNOLOGIES FOR A SUSTAINABLE FUTURE CONFERENCE PROCEEDINGS, SGEM. 2016. v. III . p. 239-245. 174. Великорецкая И.А., Середа А.С., Костылева Е.В., Цурикова Н.В., Рожкова А.М., Синицын А.П., Дремучева Г.Ф. КОМПЛЕКСНЫЙ ФЕРМЕНТНЫЙ ПРЕПАРАТ ДЛЯ ХЛЕБОПЕЧЕНИЯ. ВОПРОСЫ ПИТАНИЯ. 2016. т. 85. № 4. p. 101-102. 175. Волошина О.В., Болычевцева Ю.В., Кузьминов Ф.И., Горбунов М.Ю., Еланская И.В., Фадеев В.В. Активность фотосистемы II дикого типа Synechocystis PCC 6803 и его мутантов с различным редокс состоянием пластохинонового пула. БИОХИМИЯ. 2016. т. 81. № 8. p. 1093-1108. 176. Воробьев И.И., Проскурина О. В., Ходак Ю. А., Государев А. И., Семихин А. С., Бырихина Д. В., Красильщикова М. С., Мельник Б.С., Серебрякова М. В., Ползиков М. А. Физико-химические свойства, токсичность и специфическая активность биоаналогового фоллитропина альфа. ХИМИКО-ФАРМАЦЕВТИЧЕСКИЙ ЖУРНАЛ. 2016. т. 50. № 11. p. 35-42. 177. Данилова О.В., Белова С.Э., Гагаринова И.В., Дедыш С.Н. Состав микробного сообщества и разнообразие микроорганизмов болота субарктической зоны России. МИКРОБИОЛОГИЯ. 2016. т. 85. № 5. p. 545-554. 178. Демидёнок О.И., Шумков М.С., Гончаренко А.В. . Ингибирование токсина VapC – способ предотвращения образования покоящихся форм микобактерий. ПРИКЛАДНАЯ БИОХИМИЯ И МИКРОБИОЛОГИЯ. 2016. т. 52. № 6. p. 579-583. 179. Доценко Dotsenko, G. S., Osipov, D. O., Zorov, I. N., Sinitsyn, A. P. Comparative Analysis of the Effect of Pretreating Aspen Wood with Aqueous and Aqueous-Organic Solutions of Sulfuric and Nitric Acid on Its Reactivity during Enzymatic Hydrolysis. КАТАЛИЗ В ПРОМЫШЛЕННОСТИ CATALYSIS IN INDUSTRY. 2016. т. 8. № 1. p. 88-94. DOI: 10.1134/S2070050416010049. 180. Доценко А.С., Рожкова А.М., Гусаков А.В., Синицын А.П. Повышение эффективности биоконверсии растительного сырья под действием мутантных форм целлюлаз Penicillium verruculosum. КАТАЛИЗ В ПРОМЫШЛЕННОСТИ. 2016. т. 16. № 5. p. 83-88. 181. Дудылина А.Л., Иванова М.В., Шумаев К.Б., Pууге Э.К. Генеpация cупеpокcидныx pадикалов комплекcом III митоxондpий cеpдца и антиокcидантное дейcтвие динитpозильныx комплекcов железа пpи pазном паpциальном давлении киcлоpода. БИОФИЗИКА. 2016. т. 61. № 2. p. 304-309. 182. Еланская И.В., Кононова И.А., Лукашев Е.П., Болычевцева Ю.В., Янюшин М.Ф., Стадничук И.Н. Функции хромофорного домена в большом линкерном LСМ-полипептиде фикобилисом. ДОКЛАДЫ АКАДЕМИИ НАУК. 2016. т. 471. № 2. p. 234-237. 183. ЕПРИНЦЕВ А.Т., ФАЛАЛЕЕВА М.И., ЛЯЩЕНКО М.С., ГАТАУЛЛИНА М.О., КОМПАНЦЕВА Е.И. . ИЗОФОРМЫ МАЛАТДЕГИДРОГЕНАЗЫ БАКТЕРИЙ RHODOVULUM STEPPENSE А-20S, КУЛЬТИВИРУЕМЫХ ХЕМОТРОФНО В АЭРОБНЫХ УСЛОВИЯХ. ПРИКЛАДНАЯ БИОХИМИЯ И МИКРОБИОЛОГИЯ. 2016. т. 52. № 2. p. 168-173. DOI: 10.1134/S0003683816020058. 184. Еремин С.А., Хан О.Ю., Писарев В.В., Зверева Е.А., Жердев А.В., Дзантиев Б.Б. . Флуоресцентный поляризационный иммуноанализ для экспрессного контроля содержания антибиотиков: разработка и характеристика на примере хлорамфеникола. АНТИБИОТИКИ И ХИМИОТЕРАПИЯ. 2016. т. 61. № 9-10. p. 39-43. 185. Женило С.В., Соколов А.С., Прохорчук Е.Б. Эпигенетика Древней ДНК. ACTA NATURAE. 2016. v. 8. № 3 (30). p. 80-84. 186. Зайчикова М.В., Берестовская Ю.Ю., Васильева Л.В. Роль омброфильных диссипотрофных бактерий в разложении древесины. ИЗВЕСТИЯ РАН. СЕРИЯ БИОЛОГИЧЕСКАЯ. 2016. . № 2. p. 136-145. 187. Замятнин А.А. Особенности совокупности природных олигопептидов. НЕЙРОХИМИЯ. 2016. т. 33. № 4. p. 265-275. 188. Зверева Е.А., Зайчик Б.Ц., Еремин С.А., Жердев А.В., Дзантиев Б.Б. Разработка иммуноферментного анализа красителя Судан I и его применение для контроля продуктов питания. ЖУРНАЛ АНАЛИТИЧЕСКОЙ ХИМИИ. 2016. т. 71. № 9. p. 983-987. 189. Зверева Е.А., Шпакова Н.А., Жердев А.В., Лью Л., Ху Ч., Еремин С.А., Дзантиев Б.Б. Поляризационный флуоресцентный иммуноанализ рактопамина. ПРИКЛАДНАЯ БИОХИМИЯ И МИКРОБИОЛОГИЯ. 2016. т. 52. № 6. p. 632-638. 190. Зенова Г.М., Дуброва М.С., Грачева Т.А., Кузнецова А.И., Степанова О.А., Чернов И.Ю., Манучаров А.С. Актиномицетные комплексы почв Приэльтонья. ВЕСТНИК МОСКОВСКОГО УНИВЕРСИТЕТА. СЕРИЯ 17. ПОЧВОВЕДЕНИЕ. 2016. . № 4. p. 43-46. 191. Зенова Г.М., Дуброва М.С., Кузнецова А.И., Грачева Т.А., Манучарова Н.А., Звягинцев Д.Г. Эколого-таксономические особенности актиномицетных комплексов почв Приэльтонья. ПОЧВОВЕДЕНИЕ. 2016. . № 2. p. 235-238. 192. Зубарева А.А., Бойко А.А., Холоденко И.В., Розов Ф.Н., Ларина М.В., Алиев Т.К., Доронин И.И., Вишнякова П.А., Молотковская И.М., Холоденко Р.В. ХИТОЗАНОВЫЕ НАНОЧАСТИЦЫ, НАПРАВЛЕННЫЕ НА ОПУХОЛЕАССОЦИИРОВАННЫЙ ГАНГЛИОЗИД GD2. БИООРГАНИЧЕСКАЯ ХИМИЯ RUSSIAN JOURNAL OF BIOORGANIC CHEMISTRY. 2016. т. 42. № 5. p. 588-602. DOI: 10.1134/S1068162016050150. 193. Зубарева А.А., Свирщевская Е.В. МЕХАНИЗМЫ ВЗАИМОДЕЙСТВИЯ ХИТОЗАНА И ЕГО ПРОИЗВОДНЫХ С КЛЕТКОЙ (ОБЗОР). ПРИКЛАДНАЯ БИОХИМИЯ И МИКРОБИОЛОГИЯ. 2016. т. 52. № 5. p. 448-454. DOI: 10.1134/S0003683816050185. 194. Иванова А.Е., Соколова Д.Ш., Канатьева А.Ю. Биодеградация углеводородов и образование поверхностно-активных соединений ацидофильными микобактериями. МИКРОБИОЛОГИЯ. 2016. т. 85. № 3. p. 300-308. 195. Ильина А.В., Варламов В.П. Нейтрализация активных форм кислорода хитозаном и его производными in vitro/vivo. ПРИКЛАДНАЯ БИОХИМИЯ И МИКРОБИОЛОГИЯ. 2016. т. 52. № 1. p. 5-20. 196. Исакова Е. П., Дерябина Ю. И., Белякова А. В., Бирюкова Ю. К., Теплова В. В., Шевелев А. Б. Генетическая система для поддержания генома митохондрий человека в дрожжах Yarrowia lipolytica. ПРИКЛАДНАЯ БИОХИМИЯ И МИКРОБИОЛОГИЯ. 2016. т. 52. № 6. p. 1-11. 197. Исакова Е.П., Дерябина Ю.И., Леонович О.А., Зылькова М.В., Бирюкова Ю.К. ИСCЛЕДОВАНИЕ НАКОПЛЕНИЯ БЕЛКА RECA BACILLUS SUBTILIS В МИТОХОНДРИЯХ РЕКОМБИНАНТНОГО ШТАММА ДРОЖЖЕЙ YARROWIA LIPOLYTICA. ПРИКЛАДНАЯ БИОХИМИЯ И МИКРОБИОЛОГИЯ. 2016. т. 52. № 2. p. 174-183. DOI: 10.1134/S0003683816020071. 198. Кадников В.В., Ивасенко Д.А., Белецкий А.В., Марданов А.В., Данилова Э.В., Пименов Н.В., Карначук О.В., Равин Н.В. Новая некультивируемая бактерия семейства Gallionellaceae, — описание и реконструкция генома на основе анализа метагенома микробного сообщества кислых шахтных вод. МИКРОБИОЛОГИЯ. 2016. т. 85. № 4. p. 421-435. 199. Кадников В.В., Ивасенко Д.А., Белецкий А.В., Марданов А.В., Данилова Э.В., Пименов Н.В., Карначук О.В., Равин Н.В. Влияние содержания металлов на состав микробных сообществ кислых дренажных вод месторождения полиметаллических руд. МИКРОБИОЛОГИЯ. 2016. т. 85. № 6. p. 732-739. 200. Казьмин В.Д., Абатуров Б.Д., Демина О.Н., Колесников М.П. КОРМОВЫЕ РЕСУРСЫ И ПИТАНИЕ ПОЛУВОЛЬНЫХ БИЗОНОВ (BISON BISON) НА СТЕПНОМ ПАСТБИЩЕ ДОЛИНЫ ЗАПАДНОГО МАНЫЧА. ЗООЛОГИЧЕСКИЙ ЖУРНАЛ. 2016. т. 95. № 2. p. 234-244. DOI: 10.7868/S0044513416020100. 201. Каллистова А.Ю., Дорофеев А.Г., Николаев Ю.А., Козлов М.Н., Кевбрина М.В., Пименов Н.В. Роль анаммокс-бактерий в очистке сточных вод от соединений азота. МИКРОБИОЛОГИЯ. 2016. т. 85. № 2. p. 126-144. 202. Канаев А.Т., Булаев А.Г., Семенченко Г.В., Канаева З.К., Шилманова А.А. . Биоокисление сульфидной золотосодержащей руды с последующим обезвреживанием остатков цианирования. ПРИКЛАДНАЯ БИОХИМИЯ И МИКРОБИОЛОГИЯ. 2016. т. 52. № 4. p. 392-401. 203. Карпова Н.В., Андрюшина В. А., Стыценко Т. С., Дружинина А. В., Феофанова Т. Д., Кураков А. В. Поиск микроскопических грибов с направленной гидроксилазной активностью для синтеза стероидных лекарственных препаратов. ПРИКЛАДНАЯ БИОХИМИЯ И МИКРОБИОЛОГИЯ. 2016. т. 52. № 3. p. 1-8. 204. Кашкак Е.С, Белькова Н.Л., Данилова Э.В., Дагурова О.П., Намсараев Б. Б., Горленко B.M. Филогенетическое и функциональное разнообразие прокариот мезотермального источника Хойто-гол. МИКРОБИОЛОГИЯ. 2016. т. 85. № 5. p. 555-567. 205. Клювиткин А.А., Политова Н.В., Новигатский А.Н., Новичкова Е.А., Саввичев А.С., Козина Н.В., Баширова Л.Д., Амбросимов А.К., Будько Д.Ф., Исаченко С.М. . Геологические исследования Северной Атлантики в 49-м рейсе научно-исследовательского судна “Академик Иоффе”. ОКЕАНОЛОГИЯ. 2016. т. 56. № 5. p. 833-835. 206. Кожевникова Д.А., Таранов Е.А., Лебединский А.В., Бонч-Осмоловская Е.А., Соколова Т.Г. Гидрогеногенный и сульфидогенный рост архей рода Thermococcus на окиси углерода и формиате. МИКРОБИОЛОГИЯ. 2016. т. 85. № 4. p. 381-392. 207. Копылова Г.В., Щепкин Д.В., Боровков Д.И., Матюшенко А.М. . Влияние кардиомиопатических мутаций тропомиозина на кальциевую регуляцию актин-миозинового взаимодействия в скелетной мышце. БЮЛЛЕТЕНЬ ЭКСПЕРИМЕНТАЛЬНОЙ БИОЛОГИИ И МЕДИЦИНЫ. 2016. т. 162. № 7. p. 50 53. 208. Коробко И.В., Георгиев П.Г., Кирпичников М.П., Скрябин К.Г. ГМО в России – наука, общество и закон. ACTA NATURAE. 2016. v. 8. № 4(31). p. 6-15. 209. Костылева Е.В., Середа А.С., Великорецкая И.А., Нефедова Л.И., Шариков А.Ю., Цурикова Н.В., Лобанов Н.С., Семенова М.В., Синицын А.П. Новый мутантный штамм Bacillus licheniformis – продуцент сериновой протеазы, высокоэффективной при гидролизе белков соевого шрота. МИКРОБИОЛОГИЯ. 2016. т. 84. № 3. p. 436-445. 210. Кравчишина М.Д., Леин А.Ю., Саввичев А.С., Рейхард Л.Е., Дара О.М., Флинт М.В. Аутигенный mg-кальцит на метановом полигоне в море Лаптевых. ОКЕАНОЛОГИЯ. 2016. т. 56. № 6. p. 1-18. 211. Куланбаева Ф. Ф., Секова В. Ю., Исакова Е. П., Дерябина Ю. И., Николаев А. В. Новый эффективный промотор гена митохондриального потенциалзависимого порина VDAC в геноме дрожжей Yarrowia lipolytica,. ДОКЛАДЫ АКАДЕМИИ НАУК, BIOCHEMISTRY AND BIOPHYSICS. 2016. т. 470. № 4. p. 1-4. 212. Куликов С.Н., Баязитова Л.Т., Тюпкина О.Ф., Зеленихин П.В., Сальникова М.М., Безродных Е.А., Тихонов В.Е. ОПРЕДЕЛЕНИЕ АНТИБАКТЕРИАЛЬНОЙ АКТИВНОСТИ ХИТОЗАНА. ПРИКЛАДНАЯ БИОХИМИЯ И МИКРОБИОЛОГИЯ. 2016. т. 52. № 5. p. 489-494. DOI: 10.1134/S0003683816050100. 213. Куликова Н.А., Кляйн О.И., Пивченко Д.В., Ландесман Е.О., Позднякова Н.Н., Турковская О.В., Зайчик Б.Ц., Ружицкий А.О., Королева О.В. Деградация нефти базидиальными грибами белой гнили в почве и торфе при пониженной температуре. ПРИКЛАДНАЯ БИОХИМИЯ И МИКРОБИОЛОГИЯ. 2016. т. 52. № 6. p. 1-11. 214. Левашов П.А., Матолыгина Д.А., Овчинникова Е.Д., Морозова О.А., Чердынцева Т.А., Белогурова Н.Г., Савин С.С., Атрошенко Д.Л., Еремеев Н.Л., Смирнов С.А., Тишков В.И., Левашов А.В. Ферментативный лизис бактерий: новые аспекты. ACTA NATURAE. 2016. v. 2 . p. 38-38. 215. Левашов П.А., Овчинникова Е.Д., Морозова О.А., Матолыгина Д.А., Осипова Е.Э., Чердынцева Т.А., Савин С.С., Захарова Г.С., Алексеева A.A., Белогурова Н.Г., Смирнов С.А., Тишков В.И., Левашов А.В. Скрининг бактериолитической активности интерлейкина-2 человека и лизоцима куриного яйца на клетках различных микроорганизмов. ACTA NATURAE. 2016. v. 8 1(28). p. 107-112. 216. Легонькова О.А., Ушакова Т.А., Савченкова И.П., Перова Н.В, Белова М.С., Торкова А.А., Баранчиков А.Е., Иванова О.С., Коротаева А.И., Иванов В.К. Экспериментальное исследование влияния нанодисперсного диоксида церия на раневую репарацию. БЮЛЛЕТЕНЬ ЭКСПЕРИМЕНТАЛЬНОЙ БИОЛОГИИ И МЕДИЦИНЫ. 2016. т. 162. № 9. p. 382-387. 217. Лопачев А.В., Лопачева О.М., Абаимов Д.А., Королева О.В., Владыченская Е.А., Ерухимович А.А., Федорова Т.Н. НЕЙРОПРОТЕКТОРНОЕ ДЕЙСТВИЕ КАРНОЗИНА НА ПЕРВИЧНУЮ КУЛЬТУРУ КЛЕТОК МОЗЖЕЧКА КРЫСЫ В УСЛОВИЯХ ОКИСЛИТЕЛЬНОГО СТРЕССА. БИОХИМИЯ. 2016. т. 81. № 5. p. 678-689. 218. Лунина О.Н., Саввичев А.С., Краснова Е.Д., Кокрятская Н.М., Веслополова Е.Ф., Кузнецов Б.Б., Горленко В.М. Сукцессионные процессы в сообществе аноксигенных фототрофных бактерий озера Кисло-Сладкое (Кандалакшский залив Белого Моря). МИКРОБИОЛОГИЯ. 2016. т. 85. № 5. p. 531-544. 219. Манучарова Н.А., Трошева Е.В., Кольцова Е.М., Демкина Е.В., Караевская Е.В., Ривкина Е.М., Марданов А.В., Эль-Регистан Г.И. . Характеристика структуры прокариотного комплекса многолетнемерзлых грунтов Антарктиды на основании данных молекулярно-биологических методов. МИКРОБИОЛОГИЯ. 2016. т. 85. № 1. p. 83-91. 220. Марданов А.В., Белецкий А.В., Каллистова А.Ю., Котляров Р.Ю., Николаев Ю.А., Кевбрина М.В., Агарев А.М., Равин Н.В., Пименов Н.В. Динамика изменения состава микробного консорциума в процессе запуска однореакторной проточной лабораторной установки нитритации/анаммокс. МИКРОБИОЛОГИЯ. 2016. т. 85. № 6. p. 663-675. 221. Марданова Е.С. Белецкий А.В., Равин Н.В. Внутренняя инициация трансляции мРНК у метилотрофных дрожжей Hansenula polymorpha. БИОХИМИЯ. 2016. т. 81. № 5. p. 690-700. 222. Матюшенко А.М., Аpтемова Н.В., Щепкин Д.В., Копылова Г.В., Левицкий Д.И. Влияние стабилизирующих мутаций в центральной части a-цепи тропомиозина на структурные и функциональные свойства его ab-гетеродимеров. БИОФИЗИКА. 2016. т. 61. № 5. p. 844-851. 223. Меркель А.Ю., Подосокорская О.А., Соколова Т.Г., Бонч-Осмоловская Е.А.). Разнообразие метаногенных архей в наземном горячем источнике 2012 (Долина гейзеров, Камчатка. МИКРОБИОЛОГИЯ. 2016. т. 85. № 3. p. 327-336. 224. Митин А.К., Николайкина Н.Е., Пушнов А.С., Загустина Н.А. Геометрические характеристики насадок и гидродинамика насадочных биофильтров для очистки газовоздушных выбросов. ХИМИЧЕСКОЕ И НЕФТЕГАЗОВОЕ МАШИНОСТРОЕНИЕ,CHEMICAL AND PETROLEUM ENGINEERING. 2016. . № 1. p. 29-33. 225. Морозкина Е.В., Вавилова Е.А., Зацепин С.С., Клячко Е.В., Ягудин Т.А., Чулкин А.М., Дудич И.В., Семенкова Л.Н., Чурилова И.В., Беневоленский С.В. Создание системы продукции мутантного альфа-фетопротеина человека в метилотрофных дрожжах Pichia pastoris. ПРИКЛАДНАЯ БИОХИМИЯ И МИКРОБИОЛОГИЯ. 2016. т. 52. № 2. p. 193-199. 226. Мосунова O.В., Васина Д.В., Тяжелова Т.В., Ландесман Е.О., Королева О.В. Получение протопластов гриба Trametes hirsuta 072 и изучение влияния антиоксидантов на их формирование и регенерацию. ПРИКЛАДНАЯ БИОХИМИЯ И МИКРОБИОЛОГИЯ. 2016. т. 52. № 3. p. 318-323. 227. Мураев А.А., Бонарцев А.П., Гажва Ю.В., Рябова В.М., Волков А.В., Жаркова И.И., Стамболиев И.А., Кузнецова Е.С., Жуйков В.А., Мышкина В.Л., Махина Т.К., Бонарцева Г.А., Яковлев С.Г., Кудряшова К.С., Воинова В.В., Шайтан К.В., Иванов С.Ю. Разработка и исследования ортотопических костных имплантатов на основе гибридной конструкции из поли-3-оксибутирата и альгината натрия. СОВРЕМЕННЫЕ ТЕХНОЛОГИИ В МЕДИЦИНЕ. 2016. т. 8. № 4. p. 42-50. 228. Муханов В.С., Рылькова О.А., Чурилова Т.Я., Сахонь Е.Г., Пименов Н.В. Структура и сезонная трофодинамика пикопланктона в Севастопольской бухте и сопредельных водах Черного моря. МИКРОБИОЛОГИЯ. 2016. т. 85. № 5. p. 512-521. 229. Мысякина И.С., Кочкина Г.А., Иванушкина Н.Е., Бокарева Д.А., Феофилова Е.П. Прорастание спор мицелиальных грибов в связи с экзогенным покоем. МИКРОБИОЛОГИЯ. 2016. т. 85. № 3. p. 269-274. 230. Наумов Д.Г. Семейство GH10 гликозилгидролаз: структура и эволюционные связи. МОЛЕКУЛЯРНАЯ БИОЛОГИЯ. 2016. т. 50. № 1. p. 151-160. 231. Никитушкин В. Д., Демина Г. Р., Капрельянц А.С. Белки rpf – факторы реактивации покоящихся форм актинобактерий. УСПЕХИ БИОЛОГИЧЕСКОЙ ХИМИИ. 2016. т. 56 . p. 305-336. 232. Новиков А.Д., Рябченко Л.Е., Шустикова Т.Е., Белецкий А.В., Марданов А.В., Равин Н.В., Яненко А.С. 1255. Нуклеотидная последовательность и генетическая структура криптической плазмиды pBL90 из Brevibacterium lactofermentum. ГЕНЕТИКА. 2016. т. 52. № 11. p. 1249-1255. 233. Новожилов Novozhilov, E. V., Sinel’nikov, I. G., Aksenov, A. S., Chukhchin, D. G., Tyshkunova, I. V., Rozhkova, A. M., Osipov, D. O., Zorov, I. N., Sinitsyn, A. P. Biocatalytic Conversion of Kraft Pulp Using Cellulase Complex of Penicillium verruculosum. КАТАЛИЗ В ПРОМЫШЛЕННОСТИ CATALYSIS IN INDUSTRY. 2016. т. 8. № 1. p. 95-100. DOI: 10.1134/S2070050416010098. 234. Нуянзина-Болдарева Е.Н., Акимов В.Н., Такаичи С., Горленко В.М. Новые штаммы аэробной аноксигенной фототрофной бактерии Porphyrobacter donghaensis, выделенные из термального источника и слабоминерализованного озера Сибири. МИКРОБИОЛОГИЯ. 2016. т. 85. № 1. p. 56-65. 235. Олескин А.В., Эль-Регистан Г.И., Шендеров Б.А. МЕЖМИКРОБНЫЕ ХИМИЧЕСКИЕ ВЗАИМОДЕЙСТВИЯ И ДИАЛОГ МИКРОБИОТА–ХОЗЯИН: РОЛЬ НЕЙРОМЕДИАТОРОВ. МИКРОБИОЛОГИЯ. 2016. т. 85. № 1. p. 3-25. 236. Олескин А.В., Эль-Регистан Г.И., Шендеров Б.А. Роль нейромедиаторов в функционировании микробиоты человека. МИКРОБИОЛОГИЯ. 2016. т. 85. № 1. p. 1-22. 237. Осипов Д.О., Булахов А.Г., Короткова О.Г., Рожкова А.М., Дуплякин Е.О., Афонин А.В., Середа А.С., Синицын А.П.,. Влияние степени размола пшеничных отрубей на гидратационные свойства и эффективность ферментативного гидролиза. КАТАЛИЗ В ПРОМЫШЛЕННОСТИ. 2016. т. 16. № 5. p. 75-82. 238. Плакунов В.К., Мартьянов С.В., Тетенева Н.А., Журина М.В. Универсальный метод количественной характеристики роста и метаболической активности микробных биопленок в статических моделях. МИКРОБИОЛОГИЯ. 2016. т. 85. № 4. p. 484-489. 239. Платова Р.А., Соколова Д.Ш., Платов Ю.Т. . Реологические свойства фарфорового шликера с биосурфактантами. СТЕКЛО И КЕРАМИКА. 2016. . № 2. p. 18-23. 240. Плотникова Е.Г., Шумкова Е.С., Шумков М.С. Цельноклеточные бактериальные биосенсоры для детекции ароматических углеводородов и их хлорированных производных (обзор). ПРИКЛАДНАЯ БИОХИМИЯ И МИКРОБИОЛОГИЯ. 2016. т. 52. № 4. p. 353-364. 241. Позднякова Н.Н., Чернышова М.П., Гринёв В.С., Ландесман Е.О., Королёва О.В., Турковская О.В. Деградация флуорена и флуорантена базидиомицетом Pleurotus ostreatus. ПРИКЛАДНАЯ БИОХИМИЯ И МИКРОБИОЛОГИЯ. 2016. т. 52. № 6. p. 590-598. 242. Полозников А.А., Смирнова Н.А., Христиченко А.Ю., Хушпульян Д.М., Никулин С.В., Тишков В.И., Гайсина И.Н., Газарян И.Г. Антиоксидантные и антигипоксические свойства нейропротекторных препаратов. ИЗВЕСТИЯ АКАДЕМИИ НАУК СЕРИЯ ХИМИЧЕСКАЯ, RUSSIAN CHEMICAL BULLETIN. 2016. т. 65. № 12. p. 2970-2977. 243. Поротикова Е.В., Рисованная В.И., Волков Я.А., Дмитренко, Ю.Д., Володин В.А., Гориславец С.М., Странишевская Е.П., Аграновский А.А., Камионская А.М., Виноградова, С.В. Распространение вирусов скручивания листьев винограда 1 и 3 (grapevine leafroll-associated viruses-1 и -3) на территории Крыма. ВЕСТНИК МОСКОВСКОГО УНИВЕРСИТЕТА. СЕРИЯ 16: БИОЛОГИЯ . 2016. . № 2. p. 13-16. 244. Расторгуев С.М., Недолужко А.В., Лёвина М.А., Прохорчук Е.Б., Скрябин К.Г., Лёвин Б.А. Плейотропный эффект тиреоидных гормонов на экспрессию генов у рыб на примере синца BALLERUS BALLERUS (CYPRINIDAE): результаты транскриптомного анализа. ДОКЛАДЫ АКАДЕМИИ НАУК, BIOCHEMISTRY AND BIOPHYSICS. 2016. т. 466. № 4. p. 484-487. 245. Рогов А.Г., Тренделева Т.А., Аливердиева Д.А., Звягильская Р.А. . Еще раз о взаимодействии бутилового эфира родамина 19 с митохондриями печени крысы. БИОХИМИЯ. 2016. т. 81. № 4. p. 585-592. 246. Рубцов М.А., Маслакова А.А., Поташникова Д.М., Вейко В.П., Сыркина М.С. Тетрамерный RGD вызывает кластеризацию рецепторов интегрина αvβ3 на поверхности клеток меланомы человека и снижает их выживаемость,. ВЕСТНИК МОСКОВСКОГО УНИВЕРСИТЕТА СЕРИЯ 2 ХИМИЯ. 2016. т. 57. № 4. p. 235-244. 247. Русанов И.И., Леин А.Ю., Маккавеев П.Н., Клювиткин А.А., Кравчишина М.Д., Иванов М.В., Флинт М.В. Сезонная динамика биогеохимических процессов в водной толще северо-восточного района Черного моря (по радиоизотопным и изотопным данным). ОКЕАНОЛОГИЯ. 2016. т. 56. № 6. p. 1-15. 248. Сабреков А.Ф., Филиппов И.В., Глаголев М.В., Терентьева И.Е., Ильясов Д.В., Коцюрбенко О.Р., Максютов Ш.Ш. Эмиссия метана тростниковыми болотами лесостепи и подтайги Западной Сибири. 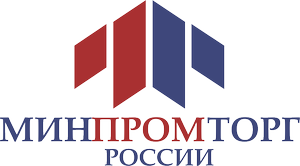 МЕТЕОРОЛОГИЯ И ГИДРОЛОГИЯ. 2016. . № 1. p. 53-59. 249. Савельева Savelyeva, E. N., Boris, K. V., Kochieva, E. Z., Kudryavtsev, A. M. NBS-LRR Resistance Genes Polymorphism in Apple (Malus domestica Borkh.) Varieties Inferred from NBS-profiling. ГЕНЕТИКА RUSSIAN JOURNAL OF GENETICS. 2016. т. 52. № 12. p. 1291-1295. DOI: 10.1134/S1022795416120115. 250. Самылина О.С., Зайцева Л.В., Синетова М.А. Участие альго-бактериального сообщества в формировании современных строматолитов в Петуховском содовом озере (Алтайский край). ПАЛЕОНТОЛОГИЧЕСКИЙ ЖУРНАЛ. 2016. . № 6. p. 92-101. 251. Сапожников Ф.В., Калинина О.Ю., Никитин М.А., Самылина О.С. К биологии соляных озер Кулундинской степи. ОКЕАНОЛОГИЯ. 2016. т. 56. № 1. p. 101-112. 252. Свирщевская Е.В., Зубарева А.А., Бойко А.А., Шустова О.А., Гречихина М.В., Шагдарова Б.Ц., Варламов В.П. АНАЛИЗ ТОКСИЧНОСТИ И БИОСОВМЕСТИМОСТИ ПРОИЗВОДНЫХ ХИТОЗАНА С РАЗЛИЧНЫМИ ФИЗИКО-ХИМИЧЕСКИМИ СВОЙСТВАМИ. ПРИКЛАДНАЯ БИОХИМИЯ И МИКРОБИОЛОГИЯ . 2016. т. 52. № 5. p. 467-475. 253. Синицын Sinitsyn, A. P., Korotkova, O. G., Sinitsyna, O. A., Rozhkova, A. M., Dotsenko, G. S., Proskurina, O. V., Osipov, D. O., Kondrat’eva, E. G., Chekushina, A. V. Optimizing the Composition of Cellulase Enzyme Complex from Penicillium verruculosum: Enhancing Hydrolytic Capabilities via Genetic Engineering. КАТАЛИЗ В ПРОМЫШЛЕННОСТИ CATALYSIS IN INDUSTRY. 2016. т. 8. № 1. p. 101-106. DOI: 10.1134/S2070050416010128. 254. Синицын Sinitsyn, A. P., Rozhkova, A. M., Sinitsyna, O. A., Kholmova, M. A., Terent’ev, K. Yu., Kazakov, Ya. V., Chukhchin, D. G., Novozhilov, E. V. Preparing Catalyst Based on Recombinant Cellulolytic Enzyme Specimen Penicillium verruculosum and Its Use in the Paper Industry. КАТАЛИЗ В ПРОМЫШЛЕННОСТИ CATALYSIS IN INDUSTRY. 2016. т. 8. № 2. p. 194-198. DOI: 10.1134/S2070050416020094. 255. Синицын А.П., Осипов Д.О., Цурикова Н.В., Великорецкая И.А., Шашков И.А., Зверев С.В. Возможности использования оболочек белого люпина и сои в биотехнологии. БИОТЕХНОЛОГИЯ. 2016. . № 1. p. 27-36. 256. Складнев Д.А., Мулюкин А.Л., Филиппова С.Н., Куликов Е.Е., Летарова М.А., Юзбашева Е.А., Карнышева Э.А., Брушков А.В., Гальченко В.Ф. Моделирование процесса распространения клеток микроорганизмов и фаговых частиц из мест вытаивания мерзлотных слоев. МИКРОБИОЛОГИЯ. 2016. т. 85. № 5. p. 580-587. 257. Соляникова И.П., Борзова О.В., Емельянова Е.В., Шумкова Е.С., Присяжная Н.В., Плотникова Е.Г., Головлева Л.А. ДИОКСИГЕНАЗЫ, ИНДУЦИРУЮЩИЕСЯ ПРИ РАЗЛОЖЕНИИ БЕНЗОАТА ДЕСТРУКТОРАМИ ХЛОРБИФЕНИЛОВ RHODOCOCCUS WRATISLAVIENSIS G10 И ХЛОРФЕНОЛОВ RHODOCOCCUS OPACUS 1CP, И ПОТЕНЦИАЛЬНО ВОВЛЕЧЕННЫЕ В ПРОЦЕСС ГЕНЫ. БИОХИМИЯ. 2016. т. 81. № 9. p. 1239-1253. 258. Сошникова Е.А., Черобаева А.С., Степанов А.Л., Лебедева Е.В., Манучарова Н.А., Кожевин П.А. Новые процессы микробной трансформации азота в почвах как источник парниковых газов. ВЕСТНИК МОСКОВСКОГО УНИВЕРСИТЕТА. СЕРИЯ 16: БИОЛОГИЯ . 2016. . № 3. p. 54-58. 259. Сухих Г.Т., Трофимов Д.Ю., Барков И.Ю., Донников А.Е., Шубина Е.С., Коростин Д.О., Екимов А.Н., Гольцов А.Ю., Бахарев В.А., Каретникова Н.А., Боровиков П.И., Тетруашвили Н.К., Ким Л.В., Гата А.С., Павлович С.В., Скрябин К.Г., Прохорчук Е.Б., Мазур А.М., Пантюх К.С. Новые подходы к проведению пренатального скрининга хромосомной патологии: ДНК-скрининг по крови материю. АКУШЕРСТВО И ГИНЕКОЛОГИЯ. 2016. . № 8. p. 72-78. 260. Трифонова А.А., Филюшин М.А., Кочиева Е.З., Кудрявцев А.М. АНАЛИЗ ЯДЕРНЫХ СПЕЙСЕРОВ ITS1/ITS2 И ВТОРИЧНОЙ СТРУКТУРЫ ГЕНА 5.8S РРНК У ЭНДЕМИЧНОГО ВИДА BELLEVALIA SARMATICA (PALL. EX GEORGI) WORONOW И РОДСТВЕННЫХ ВИДОВ ПОДСЕМЕЙСТВА SCILLOIDEAE. ГЕНЕТИКА RUSSIAN JOURNAL OF GENETICS. 2016. т. 52. № 5. p. 605-610. DOI: 10.1134/S1022795416050112. 261. Трубникова Е. В., Исакова Е. П., Дерябина Ю. И., Николаев А. В. Модифицированный ген lacz, кодирующий β-галактозидазу, – эффективный транскрипционный репортер для дрожжей Yarrowia lipolytica,. ДОКЛАДЫ АКАДЕМИИ НАУК, BIOCHEMISTRY AND BIOPHYSICS. 2016. т. 468. № 2. p. 228-231. 262. Турова Т.П., Соколова Д.Ш., Семенова Е.М., Шумкова Е.С., Коршунова А.В., Бабич Т.Л., Полтараус А.Б., Назина Т.Н. Детекция генов деградации н-алканов alkB и ladA у термофильных углеводородокисляющих бактерий родов Aeribacillus и Geobacillus. МИКРОБИОЛОГИЯ. 2016. т. 85. № 6. p. 676-692. 263. Урусов А.Е., Жердев А.В., Старовойтова Т.А., Венгеров Ю.Ю., Дзантиев Б.Б. Методы приборной регистрации результатов иммунохроматографического анализа. КЛИНИЧЕСКАЯ ЛАБОРАТОРНАЯ ДИАГНОСТИКА. 2016. т. 61. № 3. p. 173-178. 264. Феофилова Е.П., Мысякина И.С. Лигнин: химическое строение, биодеградация, практическое использование. ПРИКЛАДНАЯ БИОХИМИЯ И МИКРОБИОЛОГИЯ. 2016. т. 52. № 6. p. 259-269. 265. Филиппова С.Н., Сургучева Н.А., Сорокин В.В., Акимов В.Н., Карнышева Э.А., Брушков А.В., Андерсен Д., Гальченко В.Ф. Бактериофаги низкотемпературных систем Арктики и Антарктики. МИКРОБИОЛОГИЯ. 2016. т. 85. № 3. p. 337-346. 266. Филюшин М.А., Решетникова Н.М., Кочиева Е.З., Скрябин К.Г. ПОЛИМОРФИЗМ ПОСЛЕДОВАТЕЛЬНОСТЕЙ И ВТОРИЧНАЯ СТРУКТУРА B/C ИНТРОНА МИТОХОНДРИАЛЬНОГО ГЕНА NAD1 У MONOTROPA HYPOPITYS И РОДСТВЕННЫХ ВИДОВ ERICACEAE. ИЗВЕСТИЯ РАН BIOLOGY BULLETIN. 2016. т. 43. № 3. p. 323-327. DOI: 10.1134/S1062359016030043. 267. Фролов Е.Н., Меркель А.Ю., Пименов Н.В., Хващевская А.А., Бонч-Осмоловская Е.А., Черных Н.А. Сульфатредукция и ассимиляция неорганического углерода в кислых термальных источниках полуострова Камчатка. МИКРОБИОЛОГИЯ. 2016. т. 85. № 4. p. 446-457. 268. Халилова Э.А., Турова Т.П., Котенко С.Ц., Исламмагомедова Э.А., Аливердиева Д.А. АМИЛАЗО- И ПРОТЕАЗОПРОДУЦИРУЮЩИЕ БАКТЕРИИ STAPHYLOCOCCUS В ГЕОТЕРМАЛЬНОМ ИСТОЧНИКЕ МАХАЧКАЛИНСКОГО МЕСТОРОЖДЕНИЯ (ДАГЕСТАН). МИКРОБИОЛОГИЯ. 2016. т. 85. № 2. p. 219-222. DOI: 10.1134/S0026261716020090. 269. Хлупова М.Е., Лисицкая К.В., Амандусова А.Х., Шумакович Г.П., Васильева И.С., Зайцева Е.А., Морозова О.В., Ярополов А.И. Полимеризация дигидрокверцетина с участием лакказы, иммобилизованной в ионной жидкости. ПРИКЛАДНАЯ БИОХИМИЯ И МИКРОБИОЛОГИЯ. 2016. т. 52. № 4. p. 429-434. 270. Черницына С.М., Мамаева Е.В., Ломакина А.В., Погодаева Т.В., Галачьянц Ю.П., Букин С.В., Пименов Н.В., Хлыстов О.М., Земская Т.И. ФИЛОГЕНЕТИЧЕСКОЕ РАЗНООБРАЗИЕ МИКРОБНЫХ СООБЩЕСТВ В ДОННЫХ ОТЛОЖЕНИЯХ ПОСОЛЬСКОЙ БАНКИ ОЗЕРА БАЙКАЛ. МИКРОБИОЛОГИЯ. 2016. т. 85. № 6. p. 652-662. DOI: 10.1134/S0026261716060060. 271. Черницына С.М., Хальзов И.А., Ханаева Т.А., Морозов И.В., Клименков И.В., Пименов Н.В., Земская Т.И. Микробное сообщество, ассоциированное с чехлами Thioploca sp., обитающей в районе метанового сипа Посольская банка, Южный Байкал. МИКРОБИОЛОГИЯ. 2016. т. 85. № 5. p. 522-530. 272. Чудинова Chudinova, Yu. V., Shagdarova, B. Ts., Il’ina, A. V., Varlamov, V. P. Antibacterial effect of peptide conjugates with a quaternized chitosan derivative and its estimation by the method of atomic force microscopy. ПРИКЛАДНАЯ БИОХИМИЯ И МИКРОБИОЛОГИЯ APPLIED BIOCHEMISTRY AND MICROBIOLOGY. 2016. т. 52. № 5. p. 496-501. DOI: 10.1134/S0003683816050069. 273. Чудинова Ю.В., Шагдарова Б.Ц., Ильина А.В., Варламов В.П. АНТИБАКТЕРИАЛЬНОЕ ДЕЙСТВИЕ КОНЪЮГАТОВ ПЕПТИДОВ И КВАТЕРНИЗИРОВАННОГО ПРОИЗВОДНОГО ХИТОЗАНА И ЕГО ИЗУЧЕНИЕ МЕТОДОМ АТОМНО-СИЛОВОЙ МИКРОСКОПИИ. ПРИКЛАДНАЯ БИОХИМИЯ И МИКРОБИОЛОГИЯ. 2016. т. 52. № 5. p. 482-488.
. ПРИКЛАДНАЯ БИОХИМИЯ И МИКРОБИОЛОГИЯ APPLIED BIOCHEMISTRY AND MICROBIOLOGY. 2016. т. 52. № 4. p. 421-428. DOI: 10.1134/S0003683816040141. 275. Шумаев К.Б., Ланкин В.З., Коновалова Г. Г., Гречникова М.А., Тихазе А.К. . Метилглиоксаль как ловушка супероксидного анион-радикала. ДОКЛАДЫ АКАДЕМИИ НАУК. 2016. т. 469. № 5. p. 638-641. 276. Эльдаров М.А., Кишковская С.А., Танащук Т.Н., Марданов А.В. . Геномика и биохимия винных штаммов дрожжей Saccharomyces cerevisiae. УСПЕХИ БИОЛОГИЧЕСКОЙ ХИМИИ. 2016. т. 56 . p. 155-196. 277. Эльконин Л.А., Итальянская Ю.В., Доманина И.В., Селиванов Н.Ю., Ракитин А.Л., Равин Н.В. Трансгенное сорго с улучшенной перевариваемостью запасных белков, полученное путем агробактериальной трансформации. ФИЗИОЛОГИЯ РАСТЕНИЙ. 2016. т. 63. № 5. p. 721-734. 278. Юрина Н.П., Одинцова М.С. Геномы митохондрий фотосинтезирующих эукариот. БИОХИМИЯ. 2016. т. 81. № 2. p. 191-205. 279. Ягудин Т.А., Клячко Е.В., Зацепин С.С., Морозкина Е.В., Беневоленский С.В., Шемчукова О.Б., Позднякова Л.П., Солопова О.Н., Свешников П.Г. Продукция гуманизированного F(AB)2-фрагмента антитела против вируса бешенства в дрожжах Pichia pastoris. ПРИКЛАДНАЯ БИОХИМИЯ И МИКРОБИОЛОГИЯ. 2016. т. 52. № 4. p. 370-376. 280. Януцевич Е.А., Данилова О.А., Гроза Н.В., Терёшина В.М. Мембранные липиды и углеводы цитозоля у Aspergillus niger в условиях осмотического, окислительного и холодового воздействий. МИКРОБИОЛОГИЯ. 2016. т. 85. № 3. p. 283-292. 1. Шишкин С.С. Клиническая биохимия начала постгеномной эры в биологии человека. М.: Изд-во РУДН. 2016. 616с. ISBN 978-5-209-07036-8 (учебное пособие, тираж 500 экз.). 2. Феофилова Е.П., Мысякина И.С. Биотопливо: проблемы и перспективы. М.: Национальная академия микологии, 2016. 108 с. ISBN 978-5-901578-24-7. Тираж 1000 экз. 3. Ножевникова А.Н. (ред. ), Каллистова А.Ю., Литти Ю.В., Кевбрина М.В. Биотехнология и микробиология анаэробной переработки органических коммунальных отходов. М.: Университетская книга, 2016. 320 с. 4. Жердев А.В., Гендриксон О.Д., Берлина А.Н., Зверева Е.А. Экспрессные иммунохимические методы контроля токсичных контаминант в сельскохозяйственной продукции и продуктах питания. М.: Издательство «Перо», 2016. 125 с. ISBN 978-5-906927-27-9. 5. Таранова Н.А., Жердев А.В., Дзантиев Б.Б. Применение наночастиц в иммунохимических аналитических системах. М.: Издательство «Перо», 2016. 128 с. ISBN 978-5-906927-26-2. 1. Попов В.О., Дзантиев Б.Б., Жердев А.В., Гендриксон О.Д. ГОСТ Р ИСО 10801–2015. Нанотехнологии. Наноаэрозоли для оценки токсичности при ингаляционном поступлении в организм. Генерирование методом испарения/конденсации. (ISO 10801:2010, IDT). М.: Стандартинформ, 2016. 47 с. 2. Попов В.О., Дзантиев Б.Б., Жердев А.В., Гендриксон О.Д. ГОСТ Р ИСО 10808–2015. Нанотехнологии. Наноаэрозоли для оценки токсичности при ингаляционном поступлении в организм. Контроль характеристик. (ISO 10808:2010, IDT). М.: Стандартинформ, 2016. 40 с. 3. Попов В.О., Дзантиев Б.Б., Жердев А.В., Гендриксон О.Д. ГОСТ Р ИСО 29701–2015. Нанотехнологии. Наноматериалы для испытаний в тест-системах in vitro. Метод определения содержания эндотоксинов с использованием лизата амебоцитов Limulus (ЛАЛ-тест). (ISO 29701:2010, IDT). М.: Стандартинформ, 2016. 38 с. 4. Попов В.О., Дзантиев Б.Б., Жердев А.В., Гендриксон О.Д. ГОСТ Р 56748.1–2015/ISO/TS 12901-1:2012. / Нанотехнологии. Наноматериалы. Менеджмент риска. Часть 1. Общие положения. (ISO/TS 12901-1:2012, IDT). М.: Стандартинформ, 2016. 81 c.
5. Попов В.О., Дзантиев Б.Б., Жердев А.В., Гендриксон О.Д. ГОСТ Р 56748.2–2016/ISO/TS 12901-2:2014. / Нанотехнологии. Наноматериалы. Менеджмент риска. Часть 2. Порядок принятия решения по управлению риском. (ISO/TS 12901-2:2014, IDT). М.: Стандартинформ, 2016, 8, 37 с. 1. Прохорчук Е.Б., Бобрынина В.О., Скрябин К.Г. Современные технологии секвенирования как инструмент исследования наследственных заболеваний. / Наследственные болезни: национальное руководство, 2016, глава 7. 6. Belozerskaya T.A., Gessler N.N., Aver’yanov A.A. Melanin pigments of fungi / Fungal Metabolites Basel, 2016, p. 1‑29. 12. Fedorov M.P., Elistratov V.V., Maslikov V.I., Chusov A.N., Savvichev A.S. ESTIMATION OF GREENHOUSE GAS EMISSIONS FROM THE RESERVOIRS OF THE HYDROPOWER COMPLEX SAYANO-SHUSHENSKAYA HPP / Hydropower status and outlook in Poland and Europe Abstracts of Conference Contributions, 2016, p. 17-18. 19. Sotnikov D.V., Zherdev A.V., Dzantiev B.B. Surface plasmon resonance based biosensors. / In book: Nanobiosensors for Personalized and Onsite Biomedical Diagnosis, ISBN: 978-1-84919-950-6. 624, 2016, n. 30, p. 497-518. 20. Yurina N.P., Chankova S.Chloroplast heat shock protein 70B as marker of oxidative stress. / Heat shock proteins and plants. 2016, v. 10, Part II, pp 169-188.